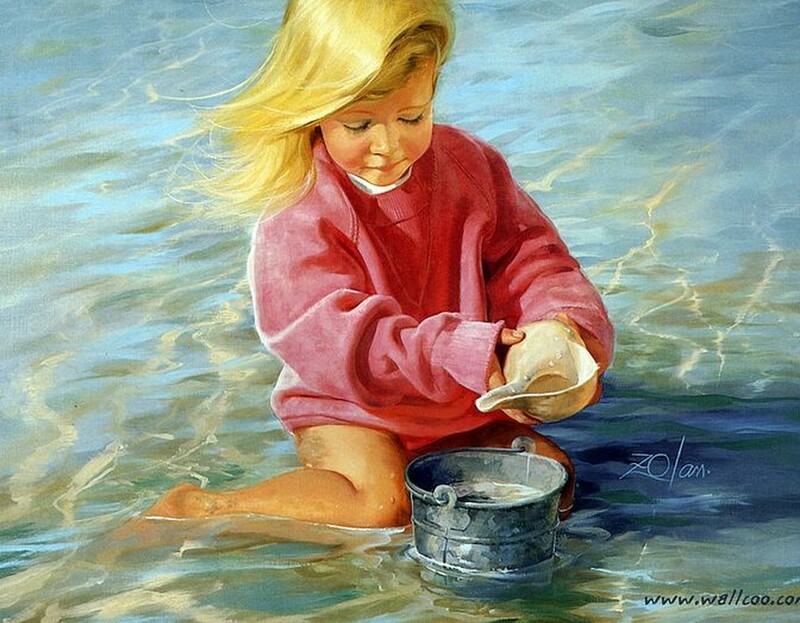 Donald James Zolan’s comfort with himself and his paintings can be attributed to the fact that he dedicated 69 years of his life to the arts, creativity and painting. 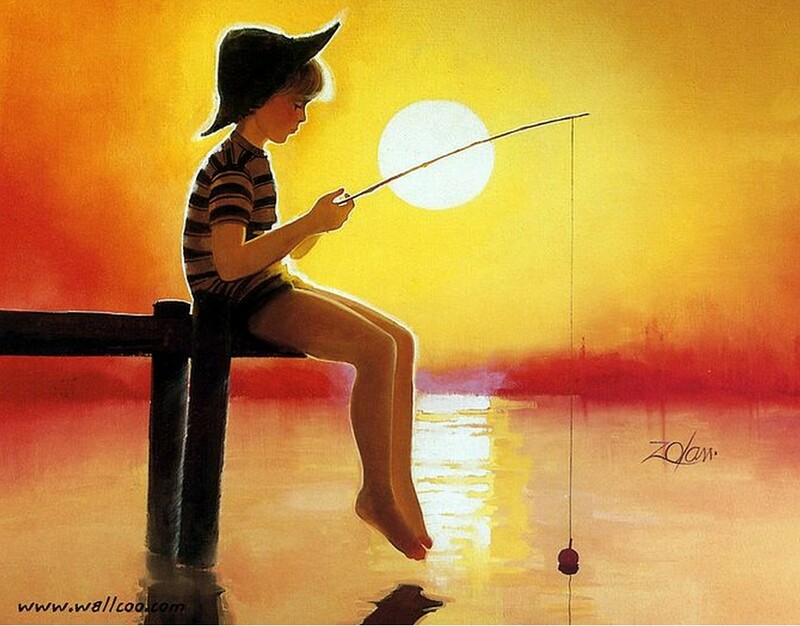 His art was his passion, his life, his soul. 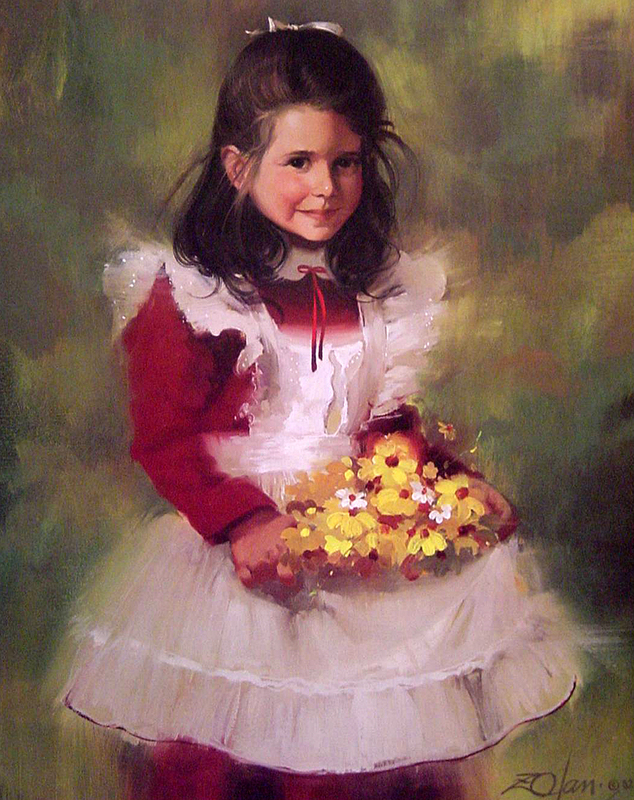 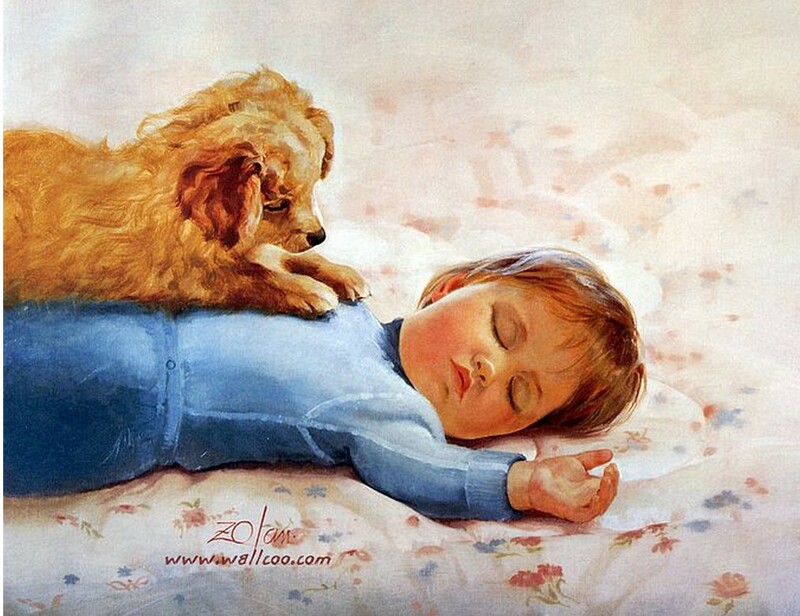 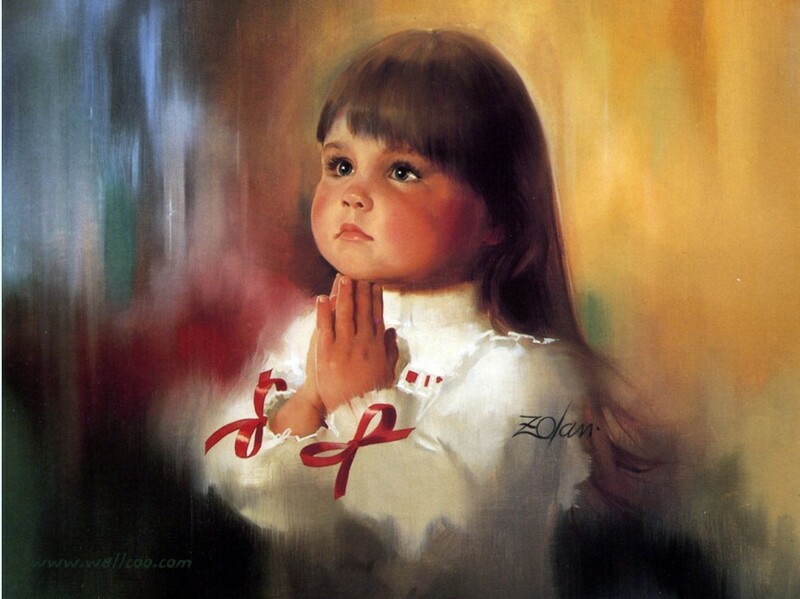 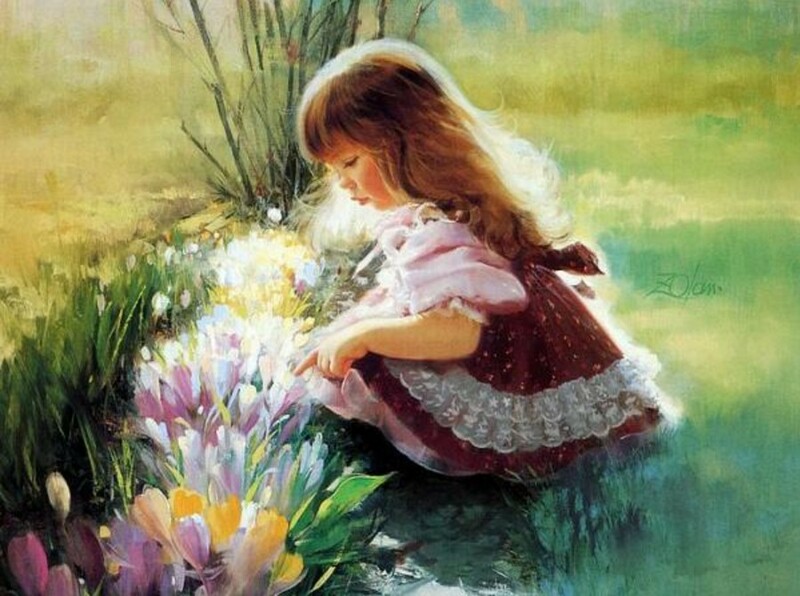 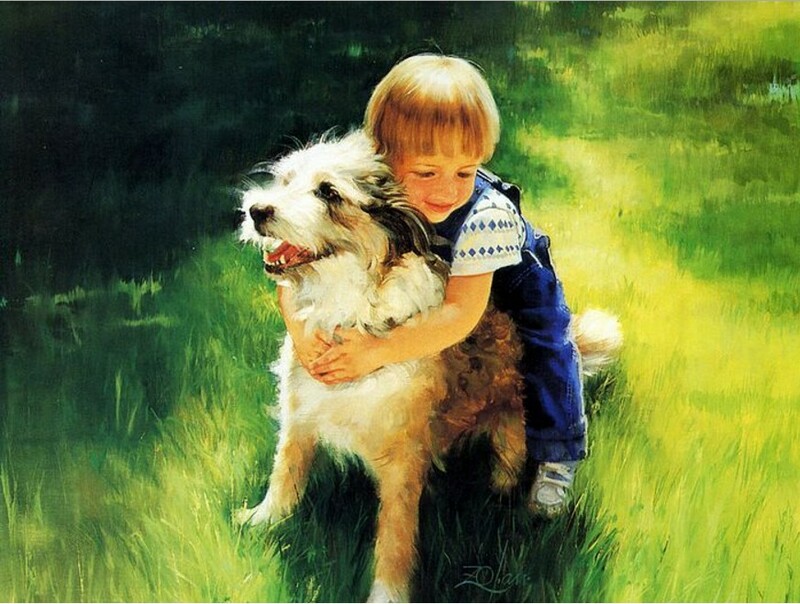 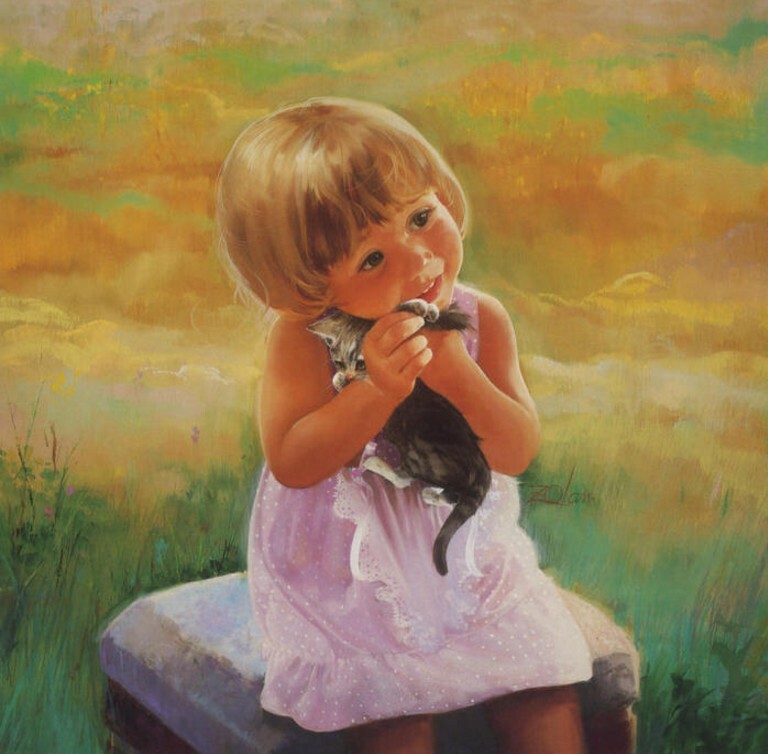 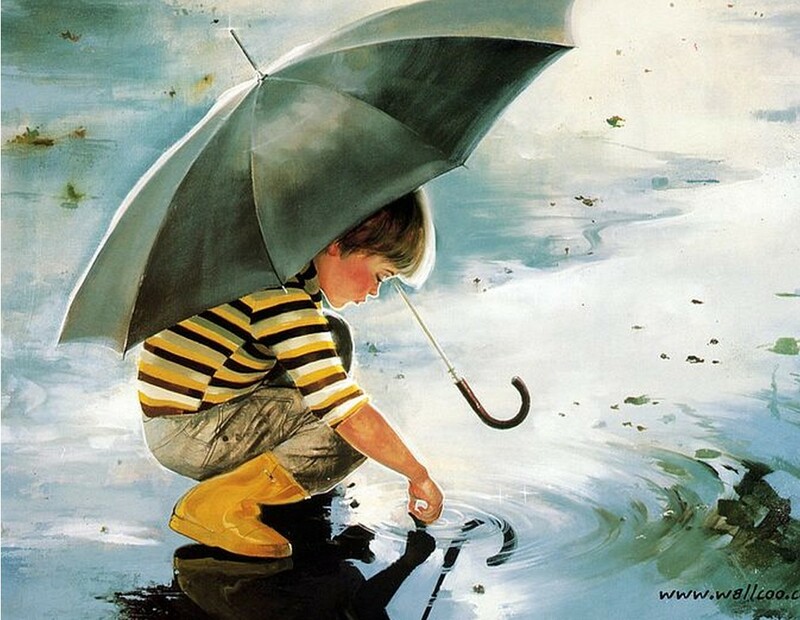 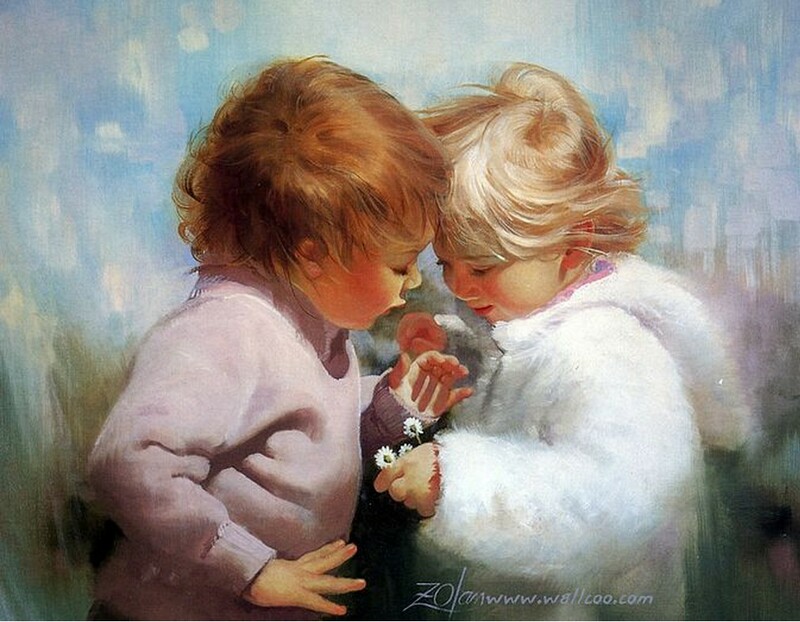 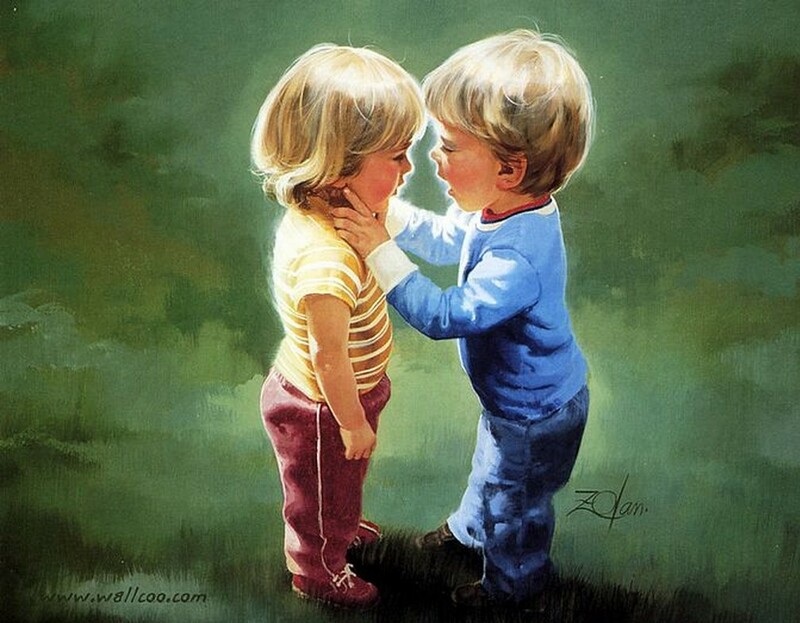 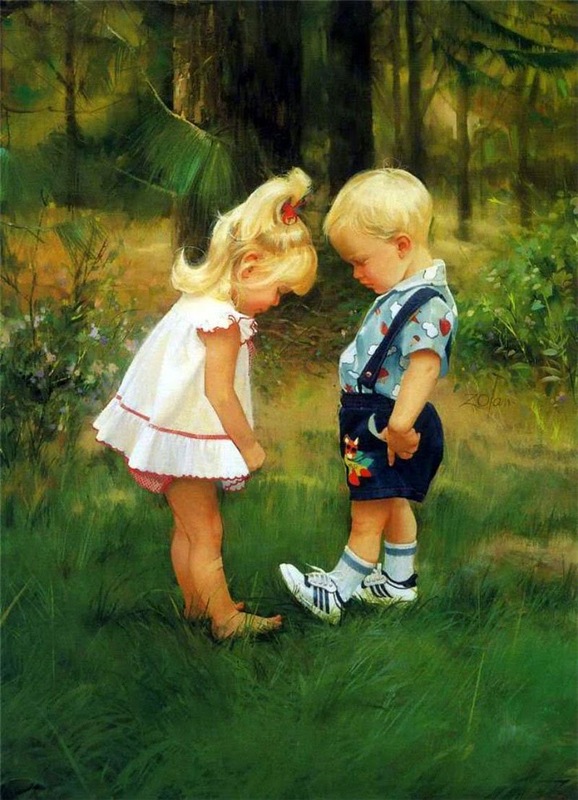 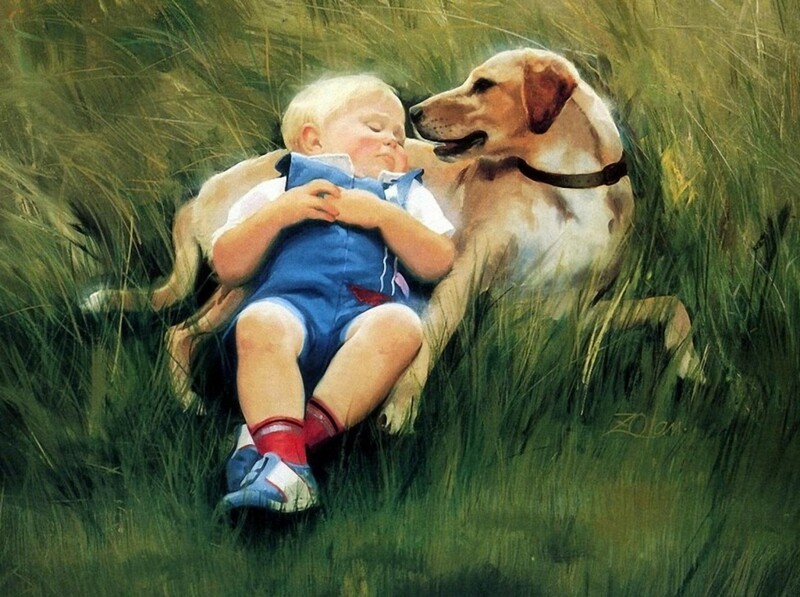 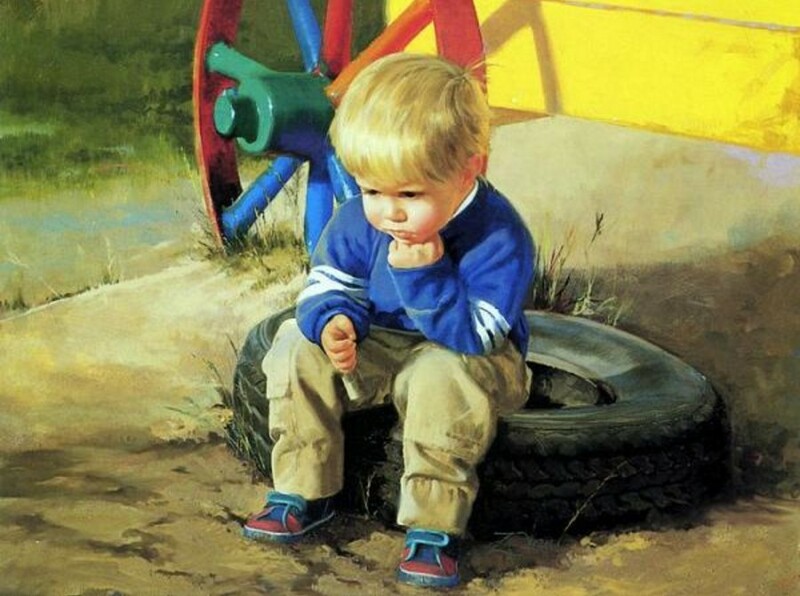 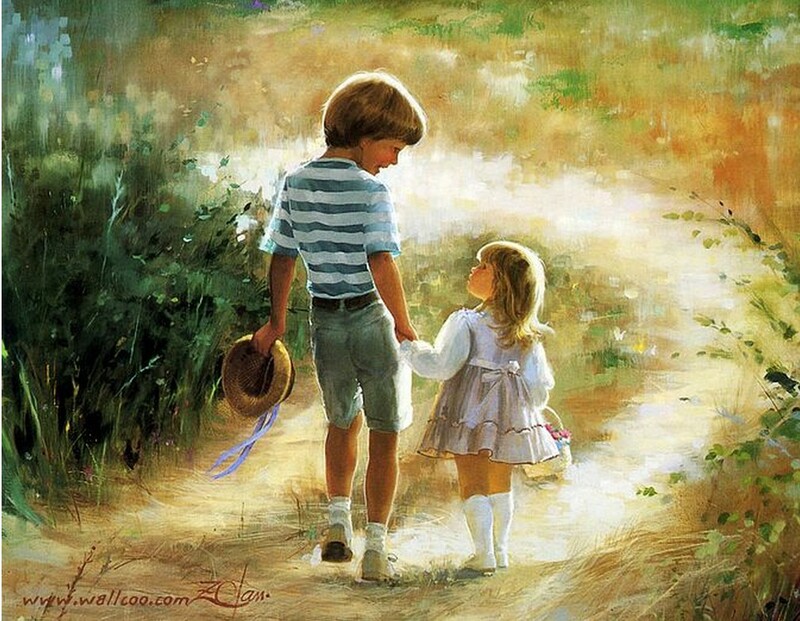 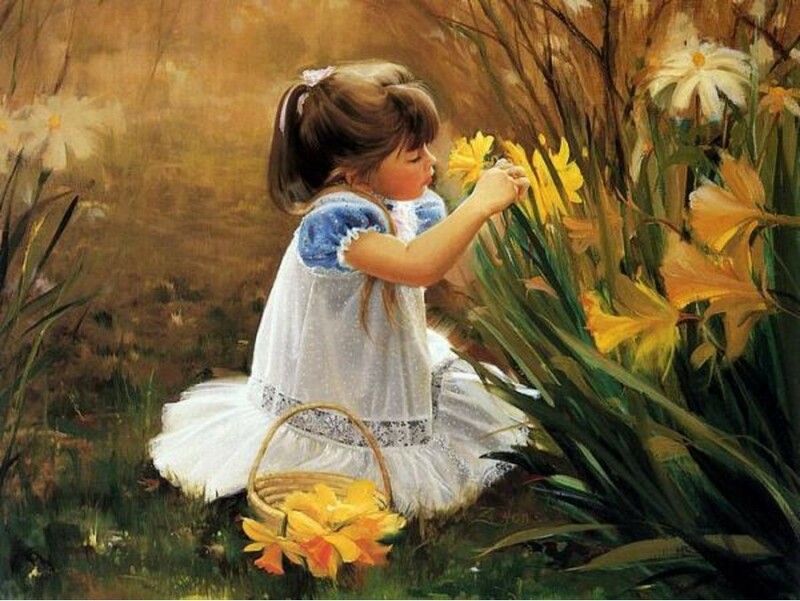 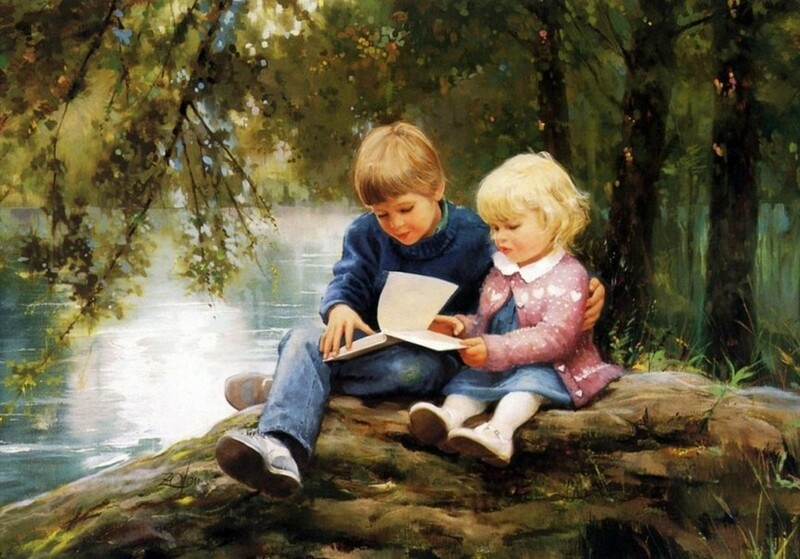 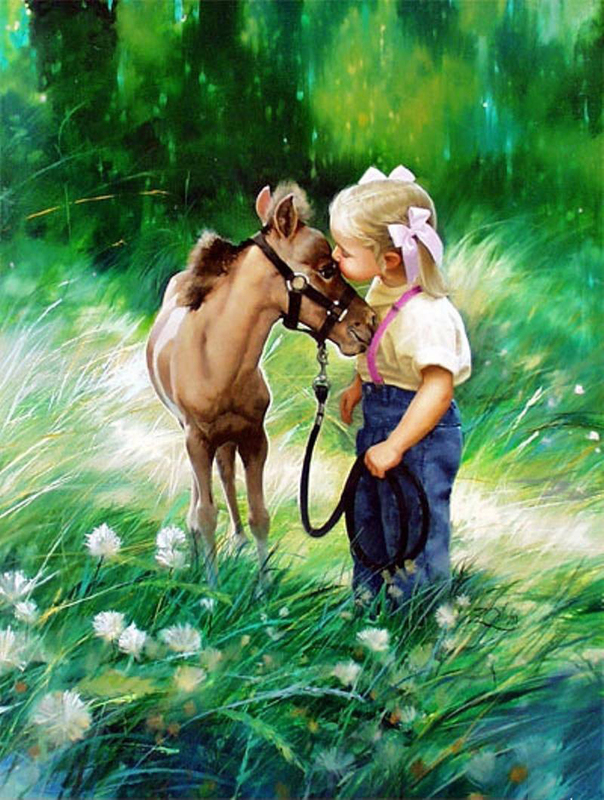 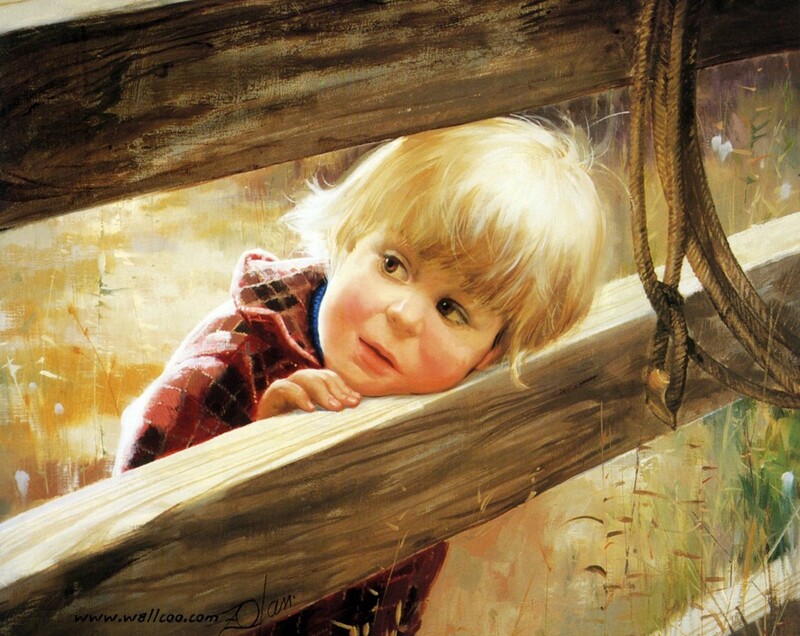 Regarded as America’s beloved children’s artist, he left a legacy to the world of 300 oil paintings of children that continue to touch the hearts of millions. 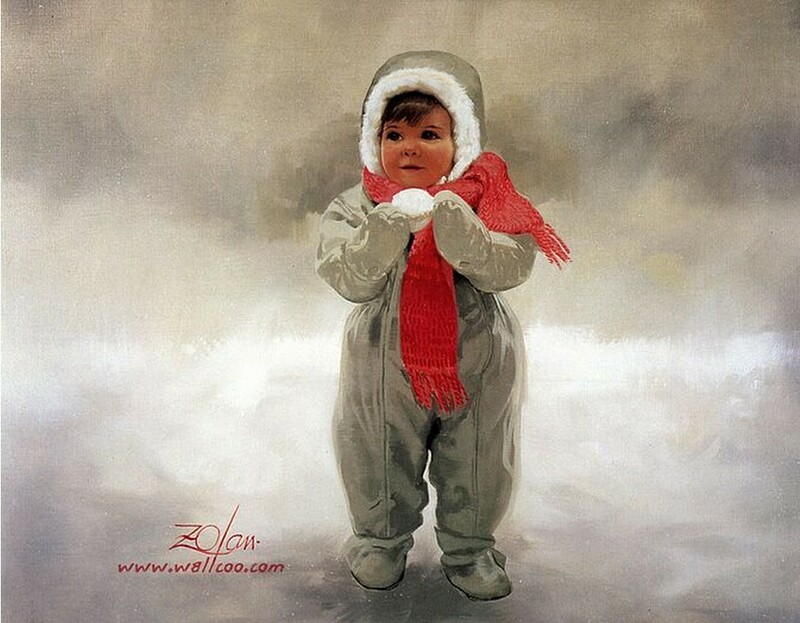 Born into a family legacy of five generations of artists and sculptors, Zolan’s oil paintings spanned the world of both fine art and commercial licensing. 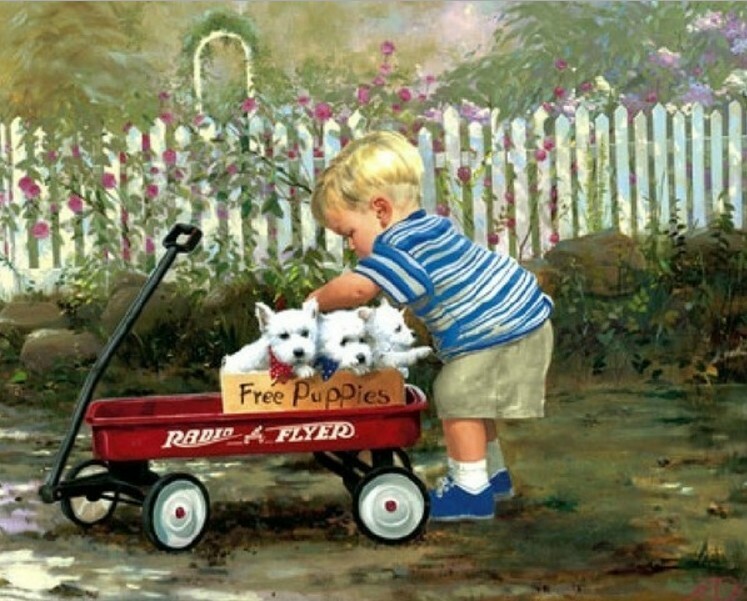 With original oil paintings selling in the five digits, and collectibles and licensed products selling worldwide, his art continues to speak to millions of collectors. 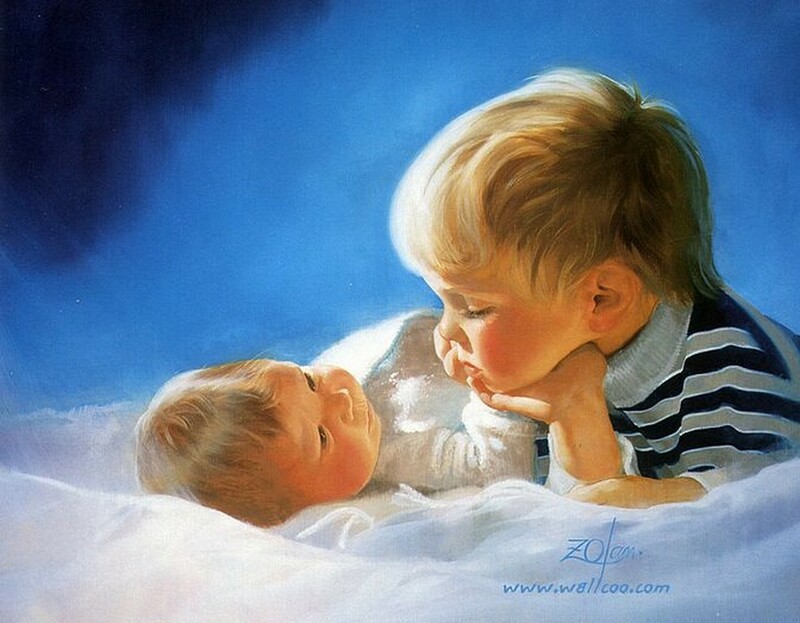 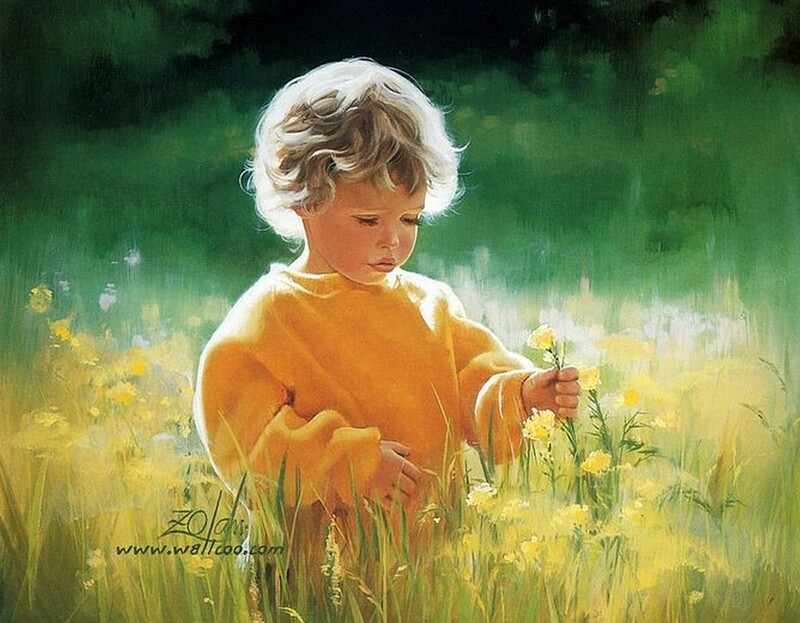 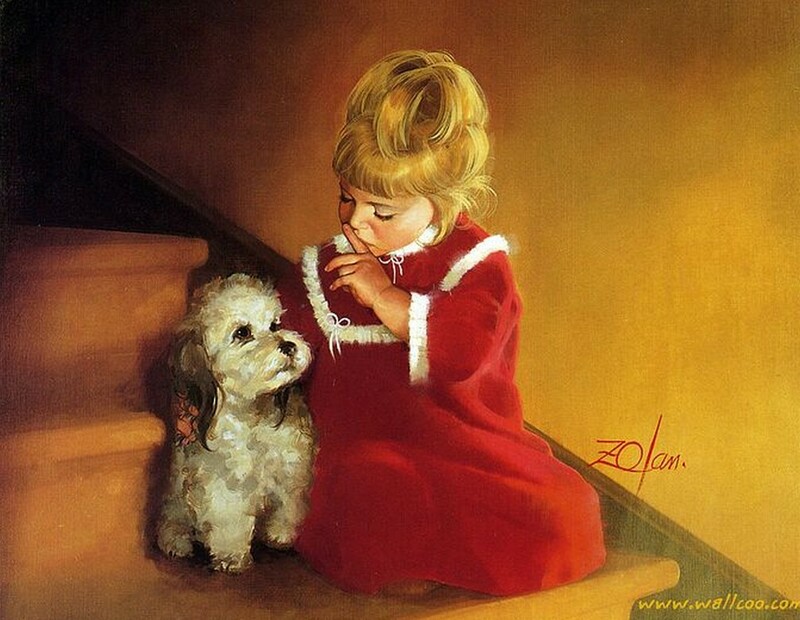 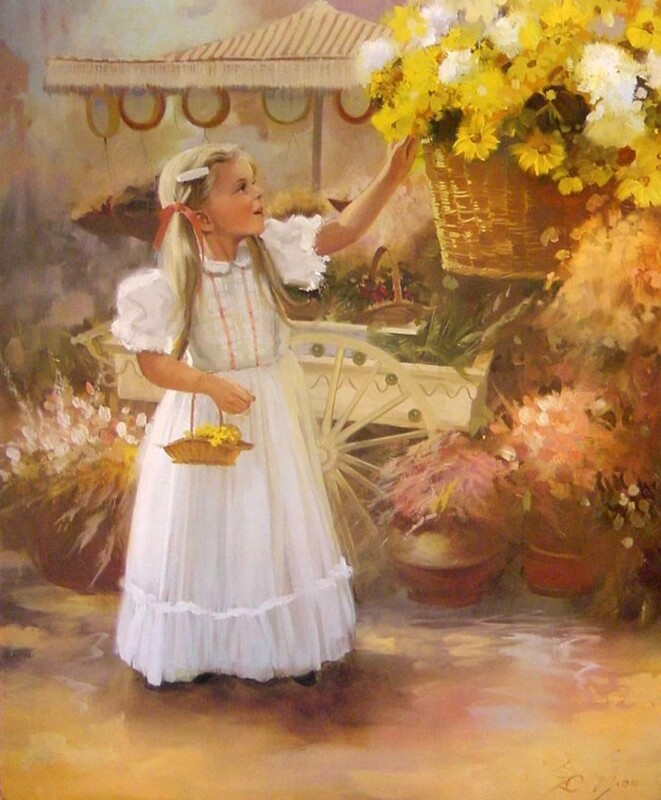 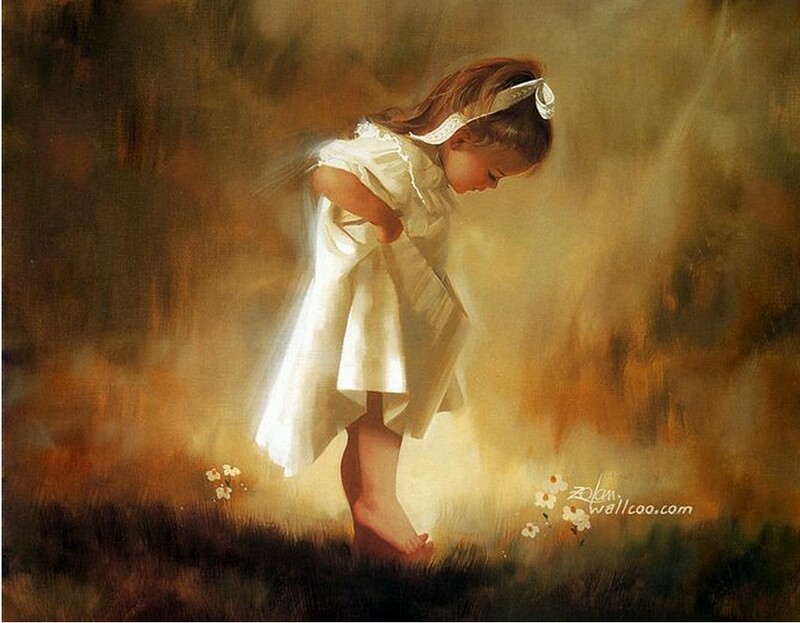 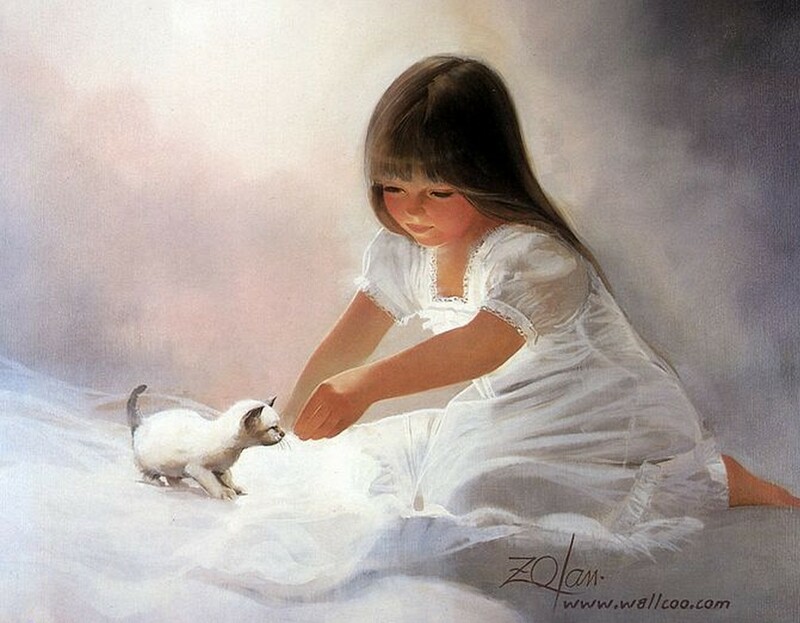 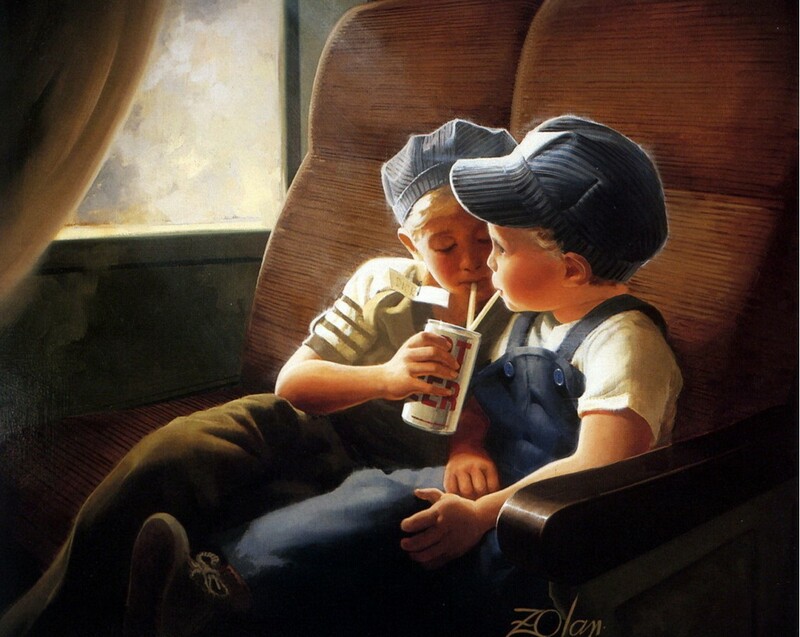 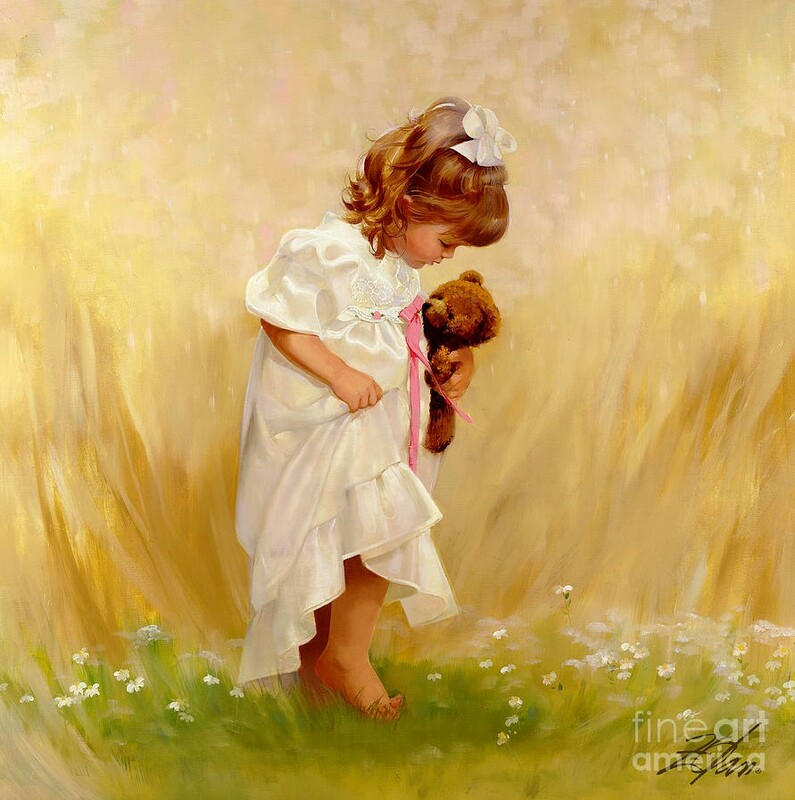 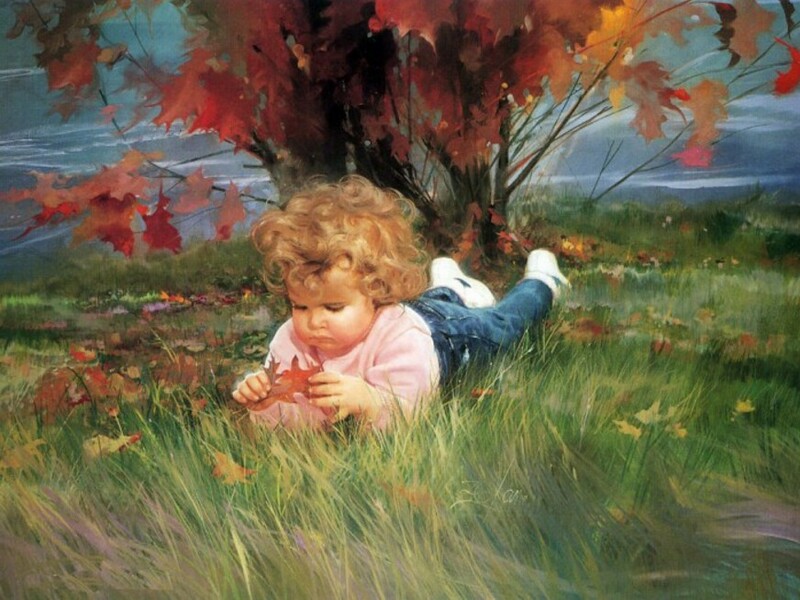 A child prodigy, Zolan began drawing and painting at the age of three winning his first scholarship in oils to the Art Institute of Chicago at the age of thirteen. 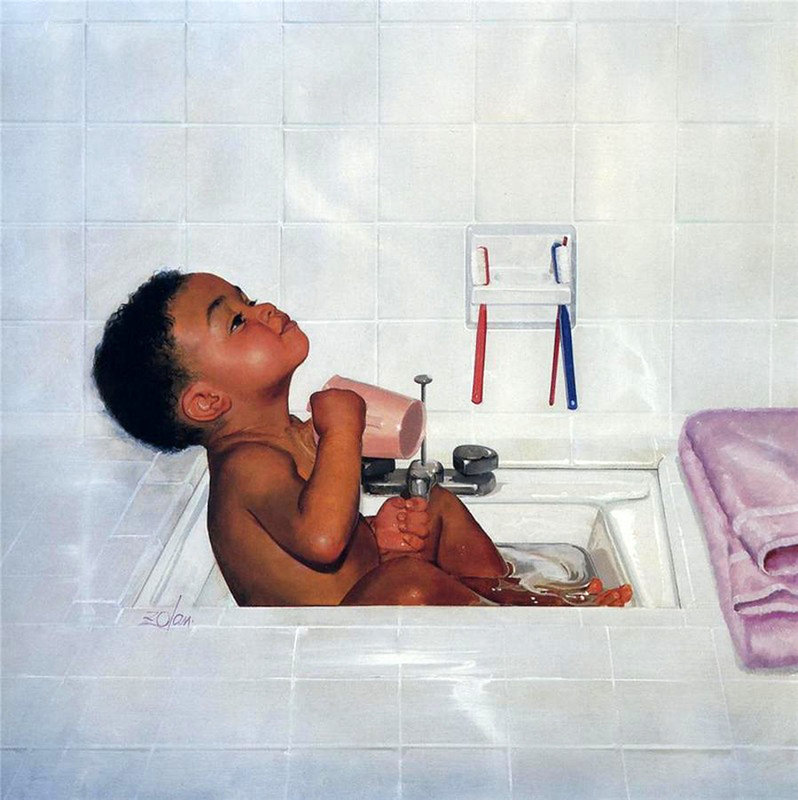 Upon graduation from high school, he won a full scholarship to the American Academy of Fine Art in Chicago completing the Academy’s four-year program in just two years. 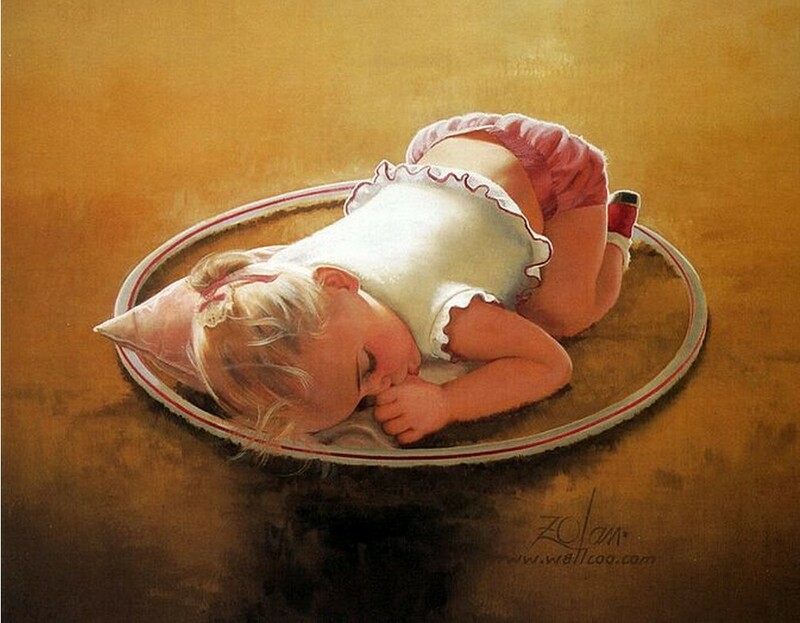 He apprenticed under Haddon Sundblom, the well-known illustrator of the Coca Cola Santa Claus and later attended the Arts Students League in New York City. 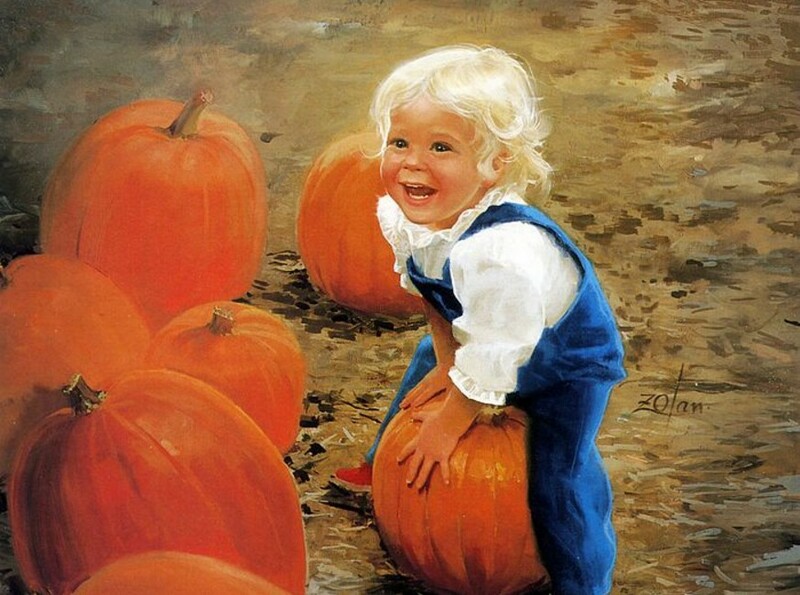 Upon graduation from the Academy, Zolan pursued a fine arts career exhibiting and selling his oil paintings at shows and museums throughout North America, Europe, United Kingdom and Japan winning numerous fine art awards including best of show by the Salmagundi Club in New York. 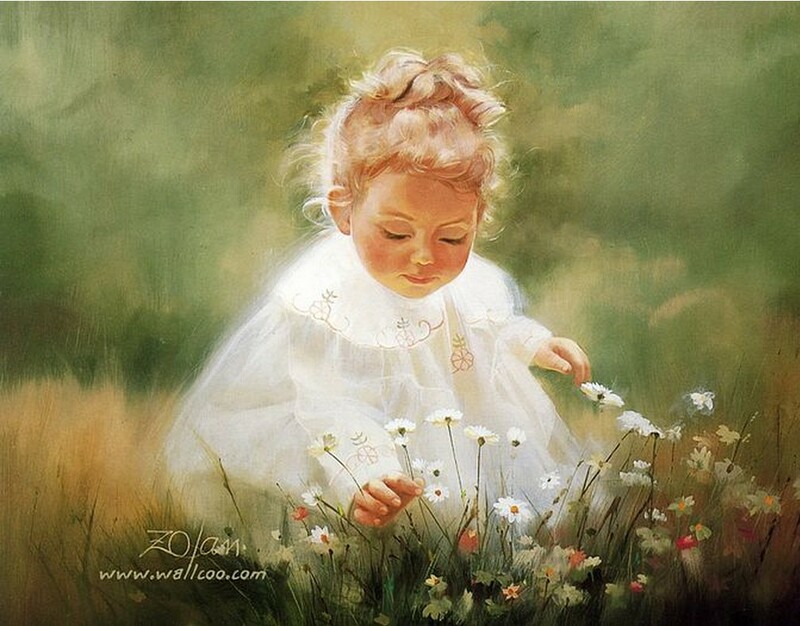 His successful fine art career led to the opening of the Zolan Gallery on Nantucket Island. 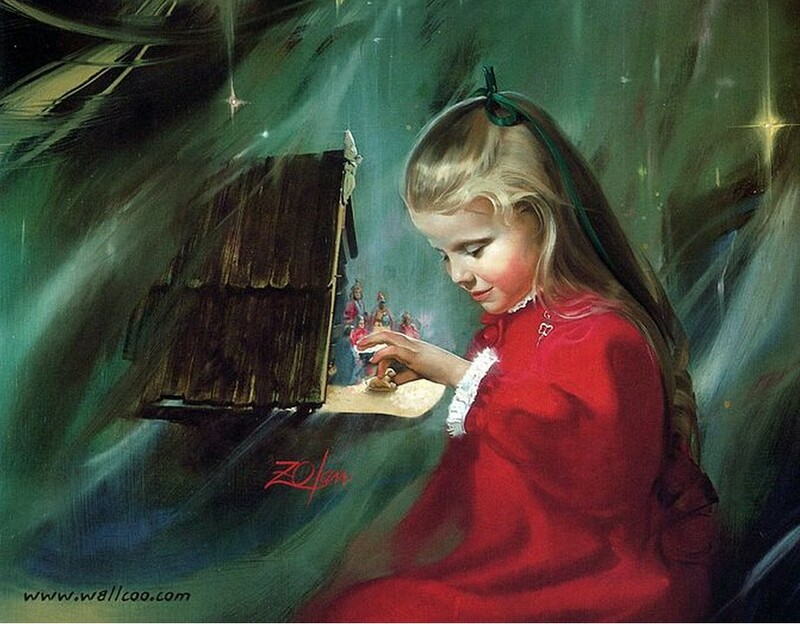 By the mid 1970’s, as Zolan’s name and reputation in the fine art world flourished, his portrait commissions expanded to include political leaders, writers, religious figures, astronauts and industrialists from around the world. 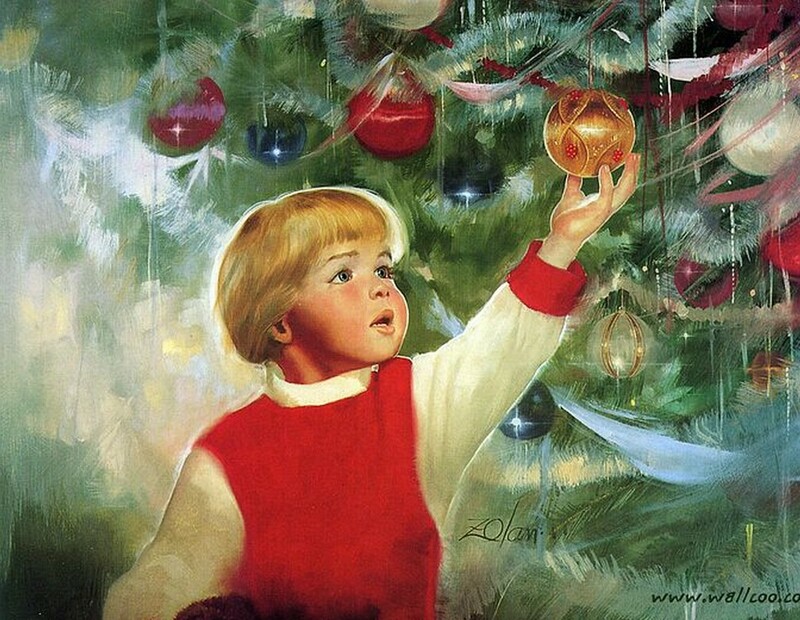 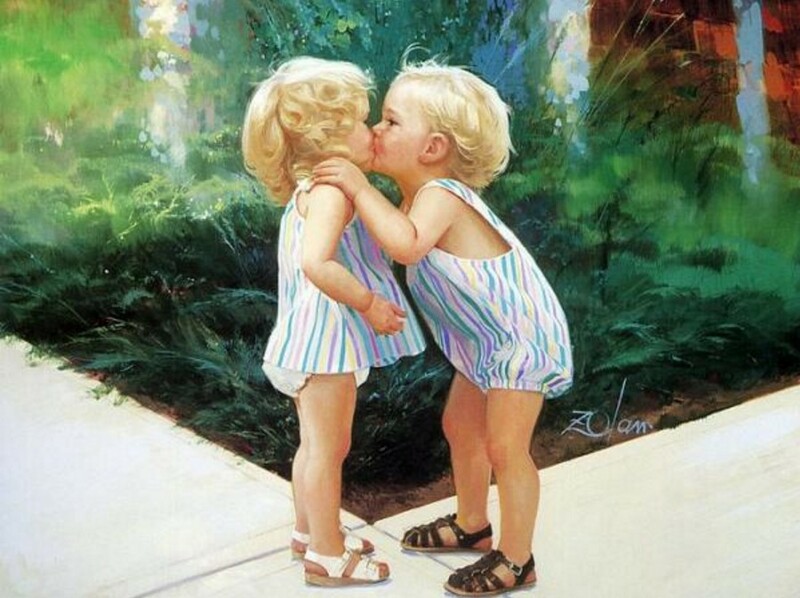 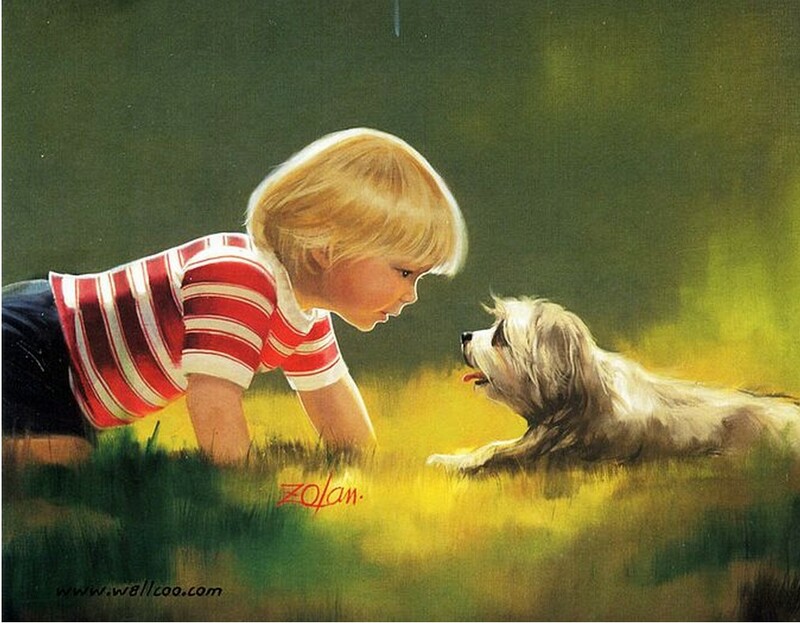 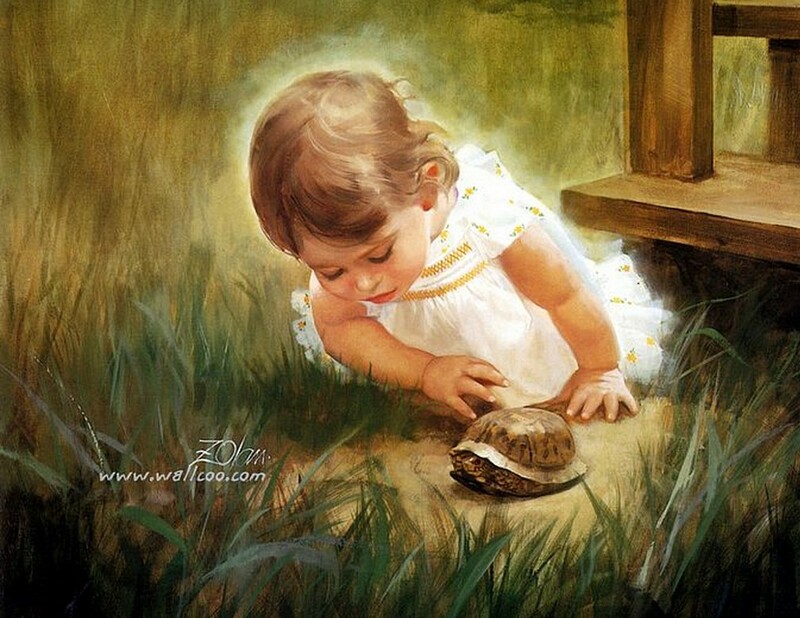 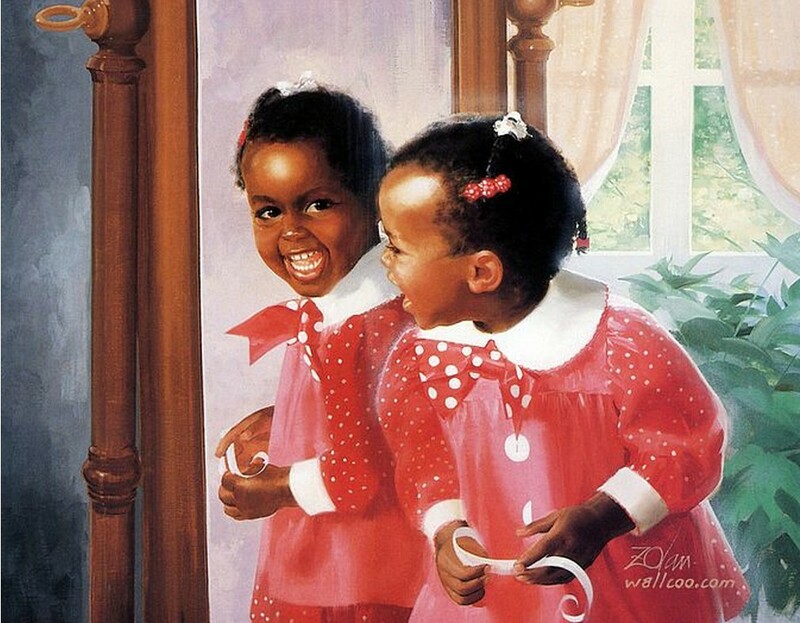 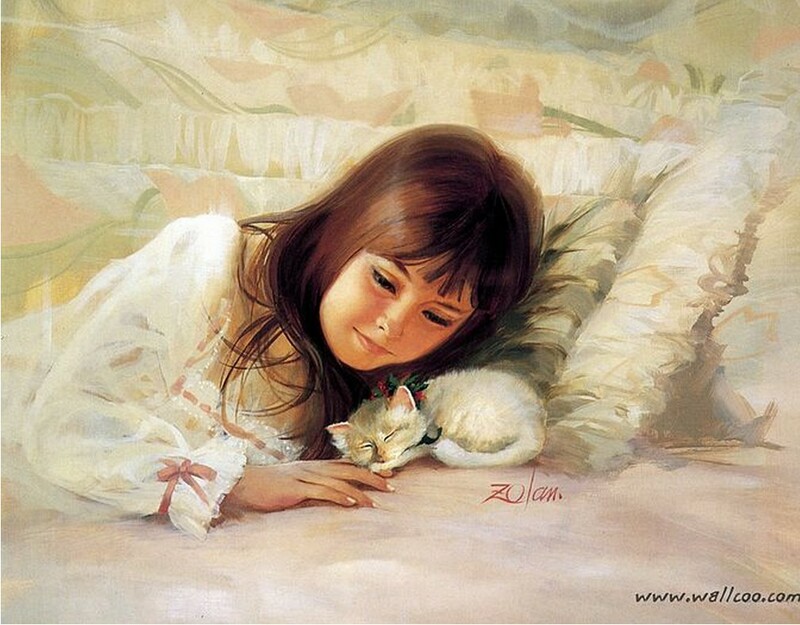 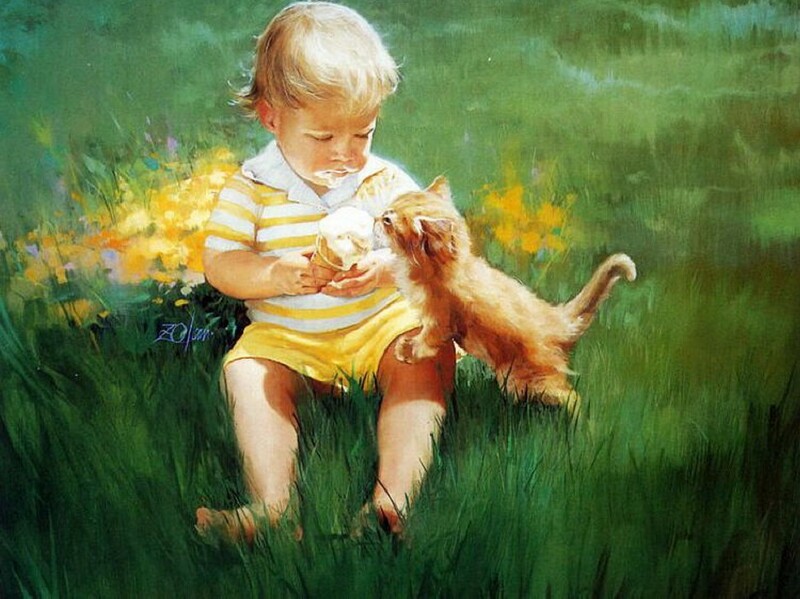 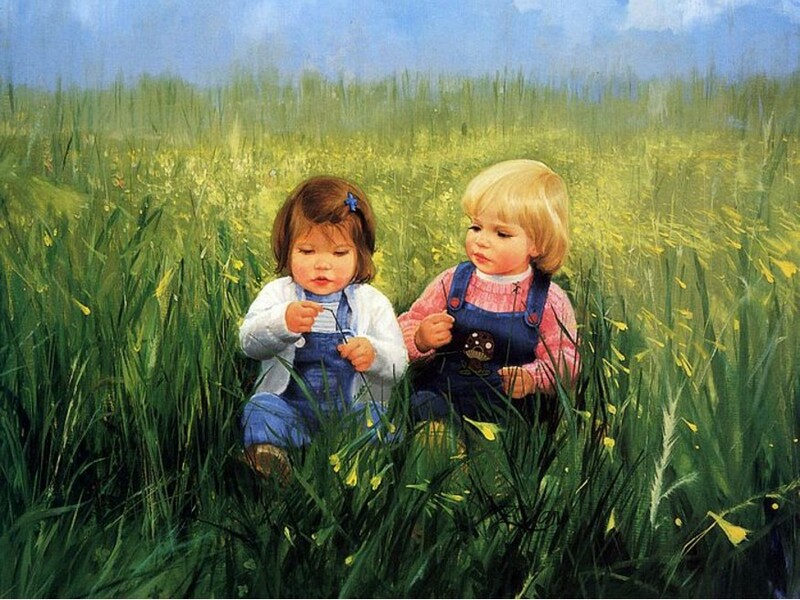 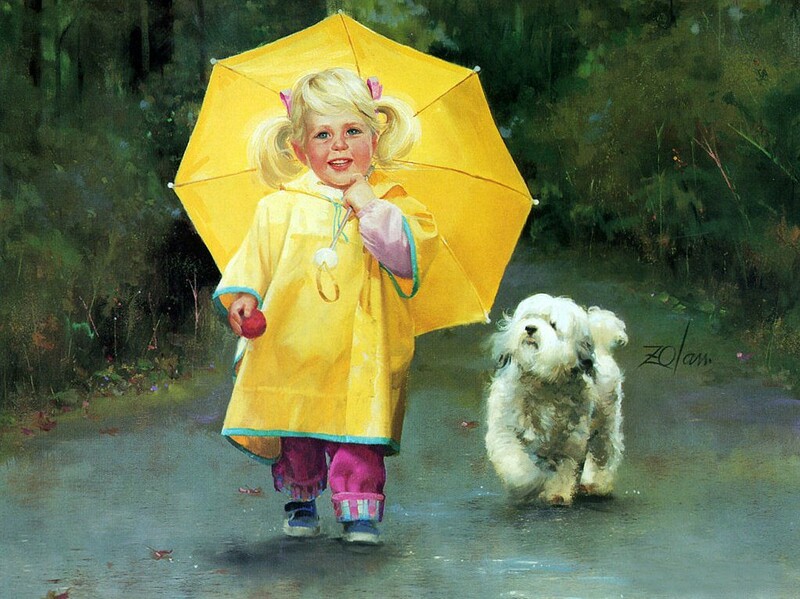 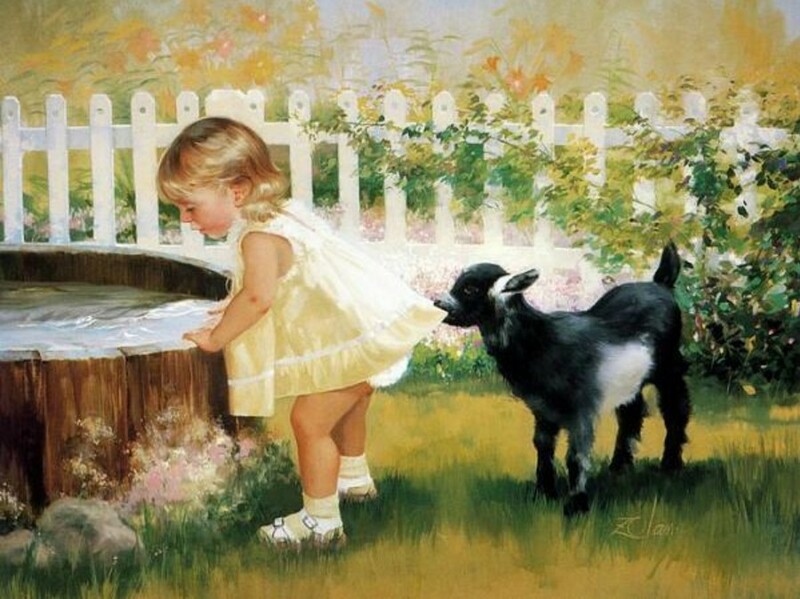 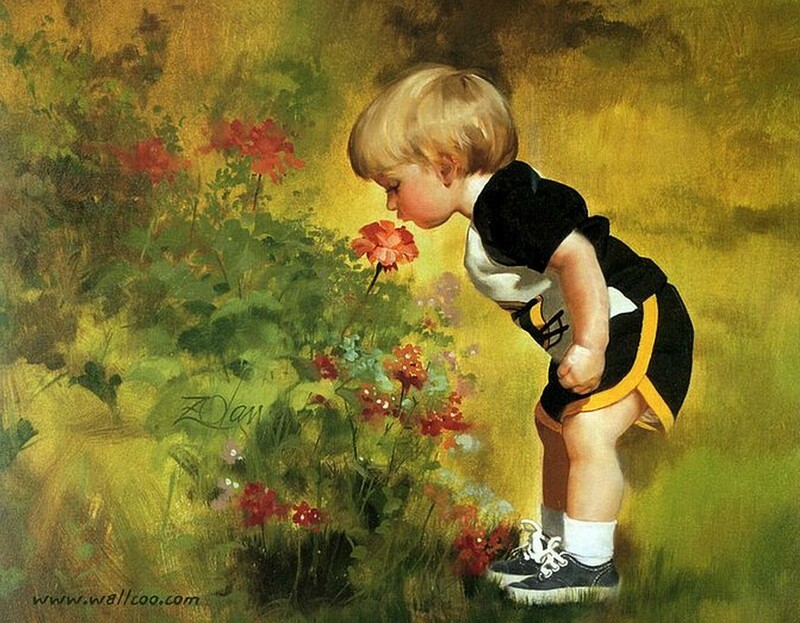 By 1978, Zolan’s fresh new style of children paintings launched his career in the collectibles and licensing world. 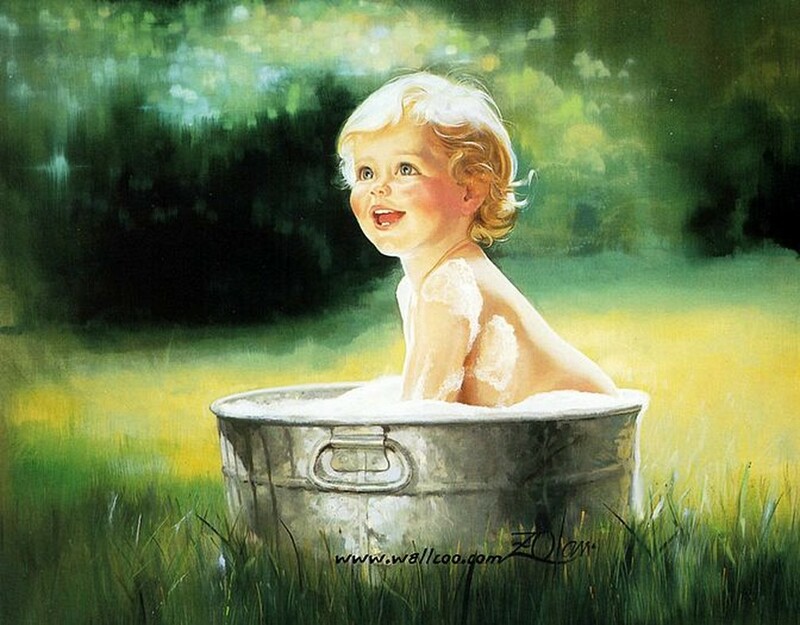 His incredible talent to portray the joyfulness, innocence, tenderness and wide eyed wonder of early childhood propelled him to the top of the collectibles industry while his works commanded some of the highest secondary market values. 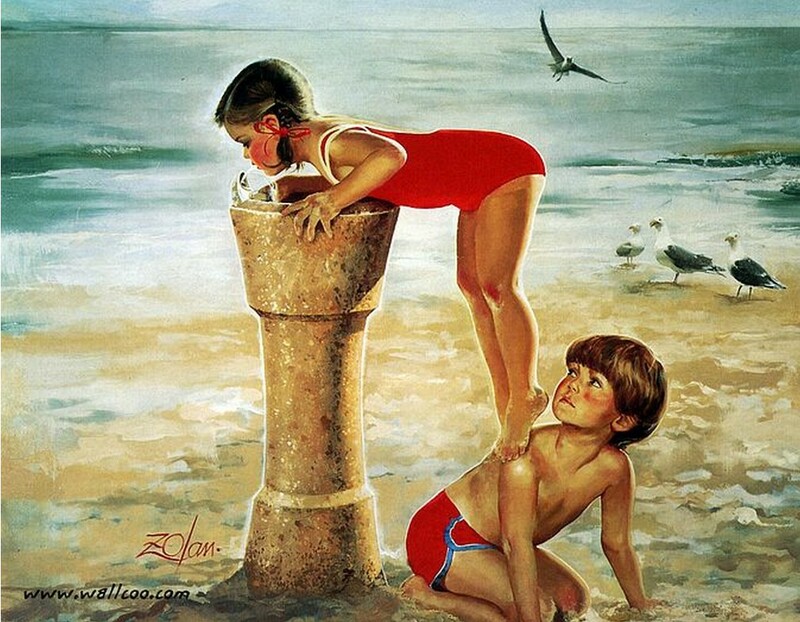 Zolan had the exceptional ability to adapt his artwork to the changing times while maintaining his classical unique style known today as the Zolan brand. 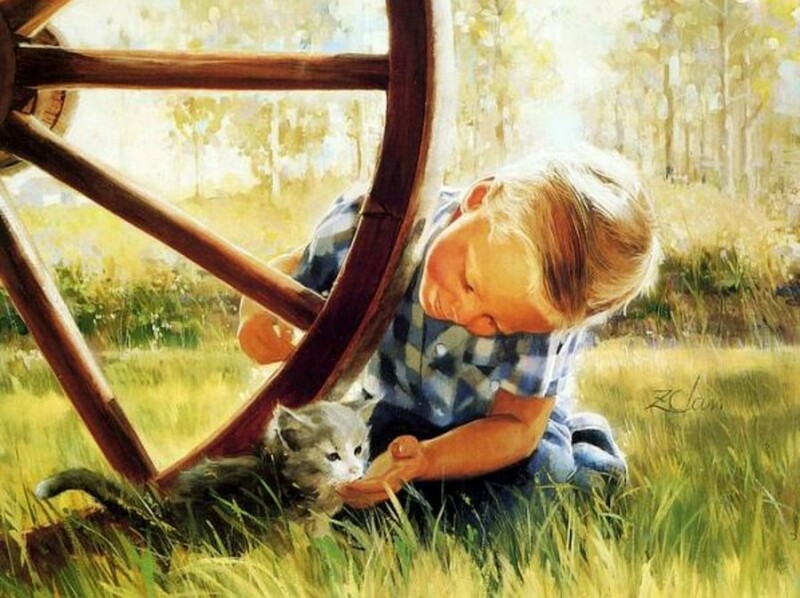 The wholesomeness of his subject matter combined with his Americana style became an ideal partnership with some of America’s iconic corporate brands. 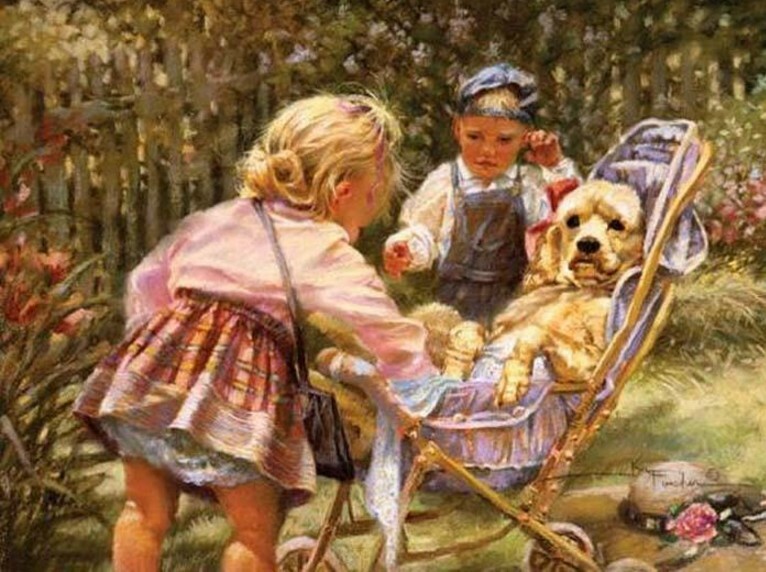 In the last decade, co brand partnerships have included Collegiate, John Deere, International Harvester, New York Yankees, Radio Flyer, and Shirley Temple. 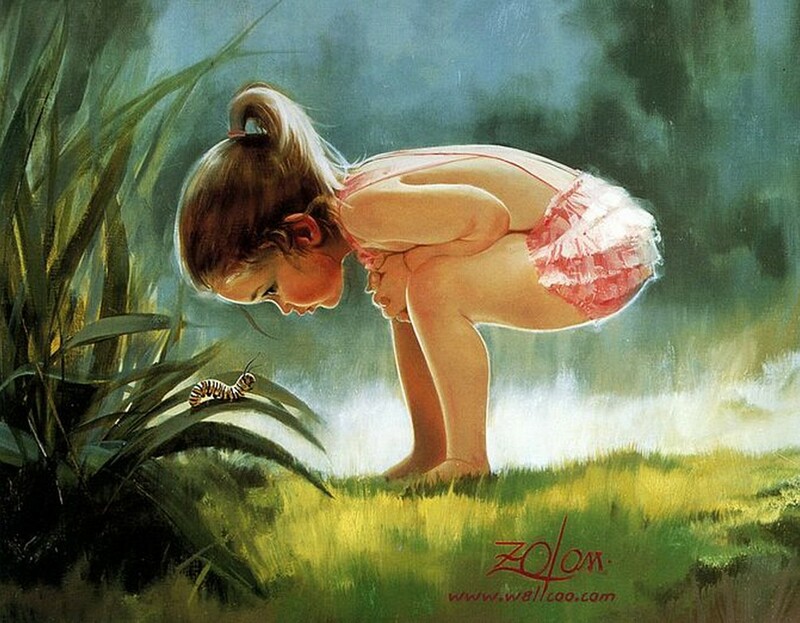 Today, Zolan’s artwork continues to be licensed worldwide on a wide range of licensed products. 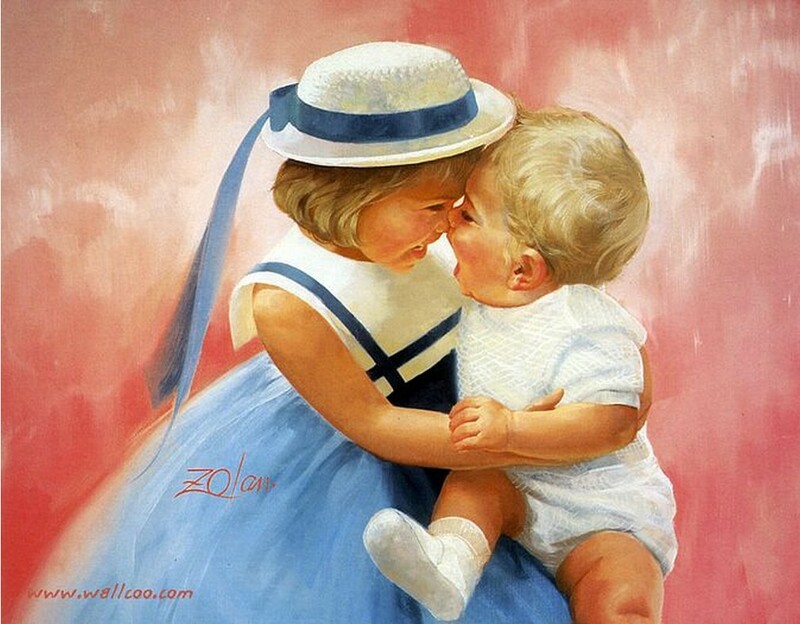 Born in Brookfield, IL in 1937 to middle class parents, Zolan embodied the values of the Heartland of honesty, humility, and straightforwardness. 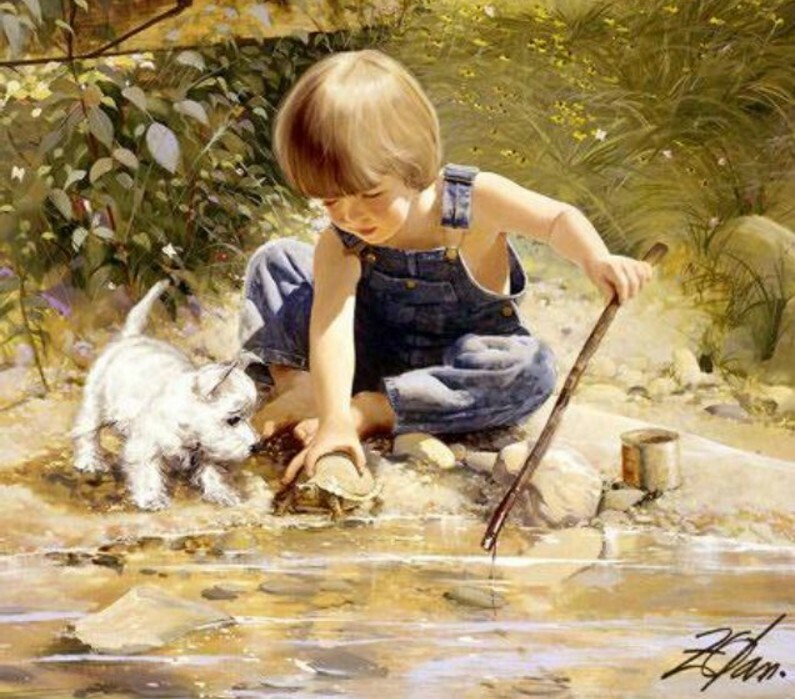 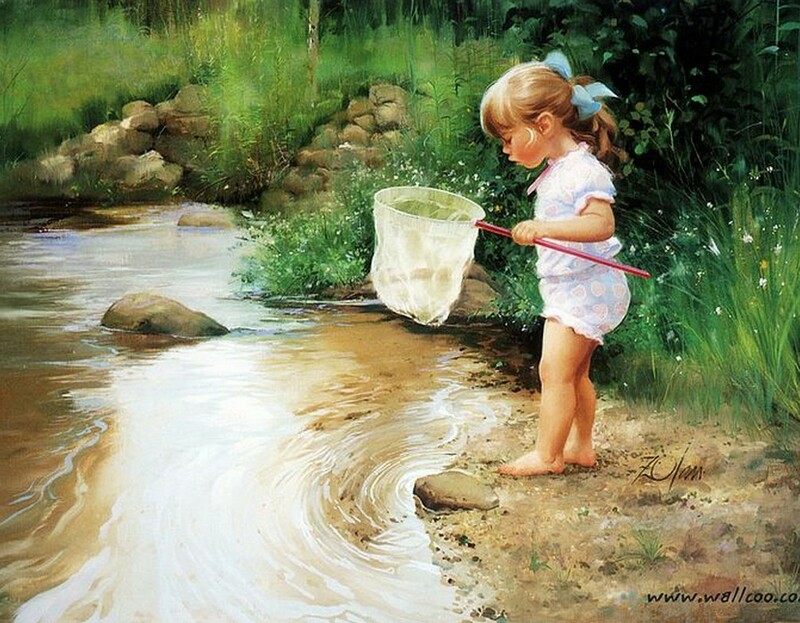 What he captured in his oil paintings was the pure, honest, and open expression of his heart. 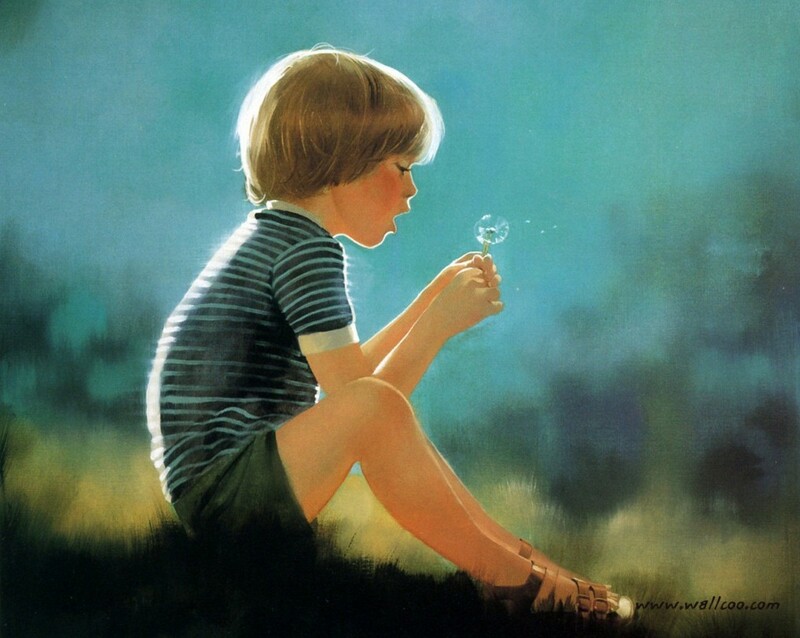 A compassionate and kind man, an insightful and positive man, and a dedicated artist his entire life, there was no distance between what he portrayed and how he lived his life. 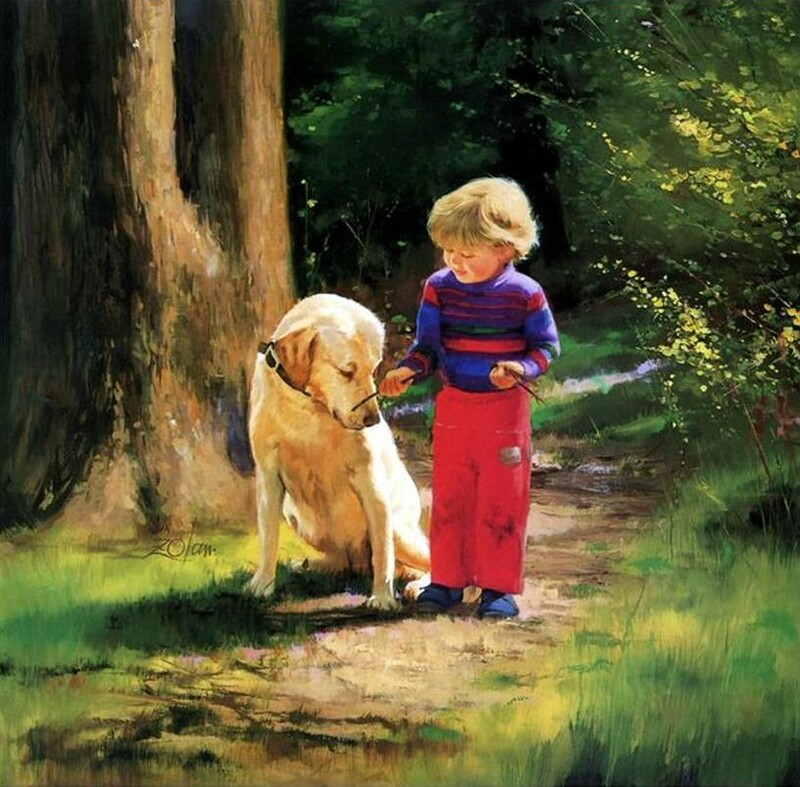 “The love and joy you see in his paintings are a sincere expression of the man himself,” as written by John Hugunin Sr., former President of Pemberton & Oakes. 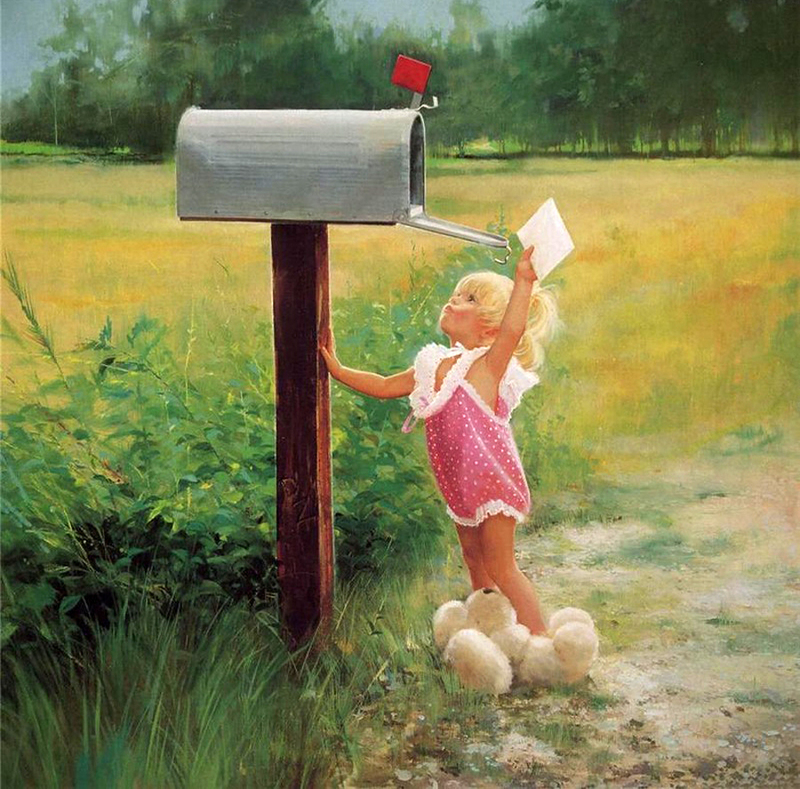 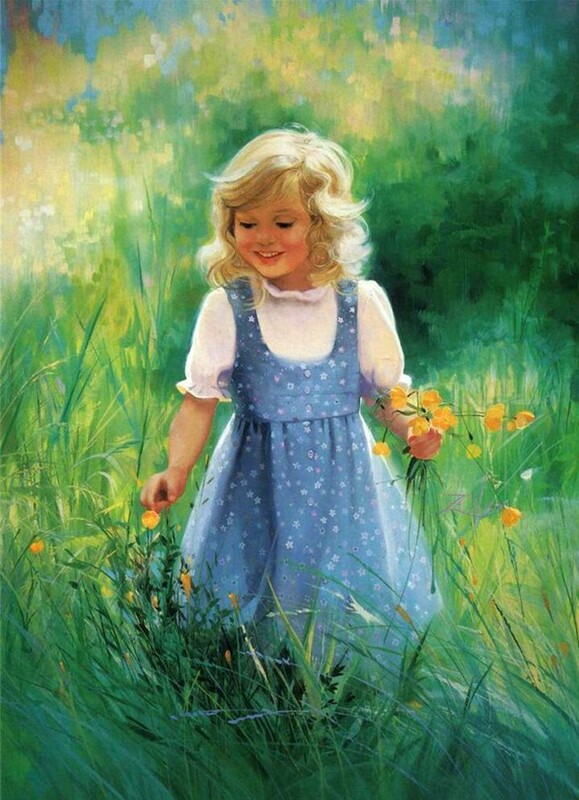 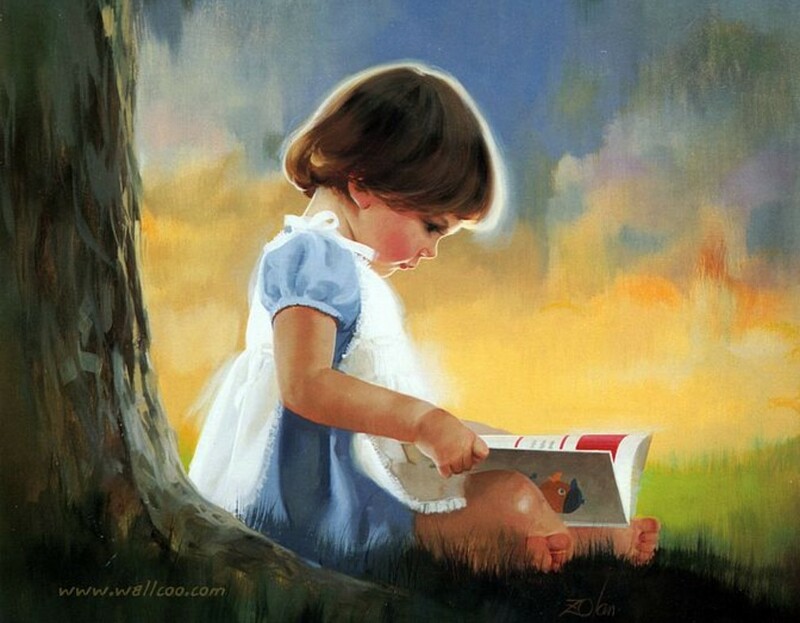 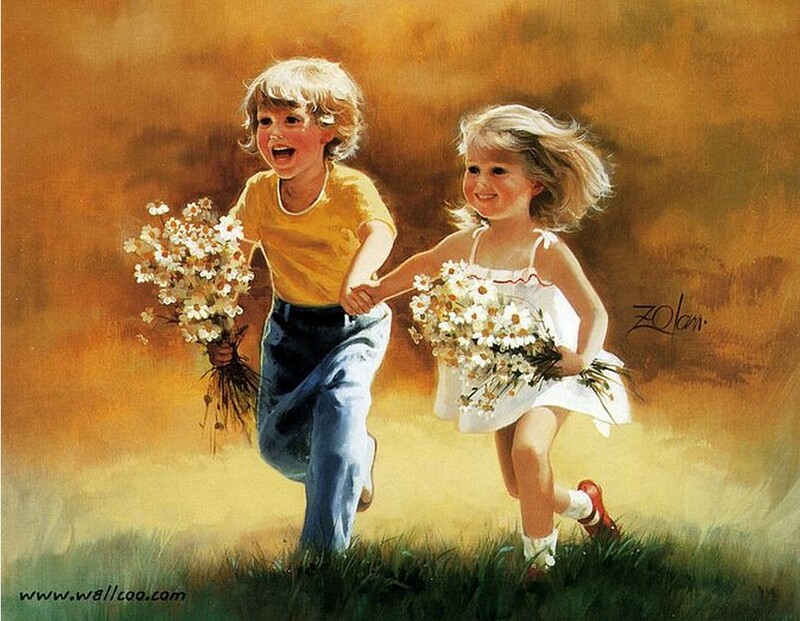 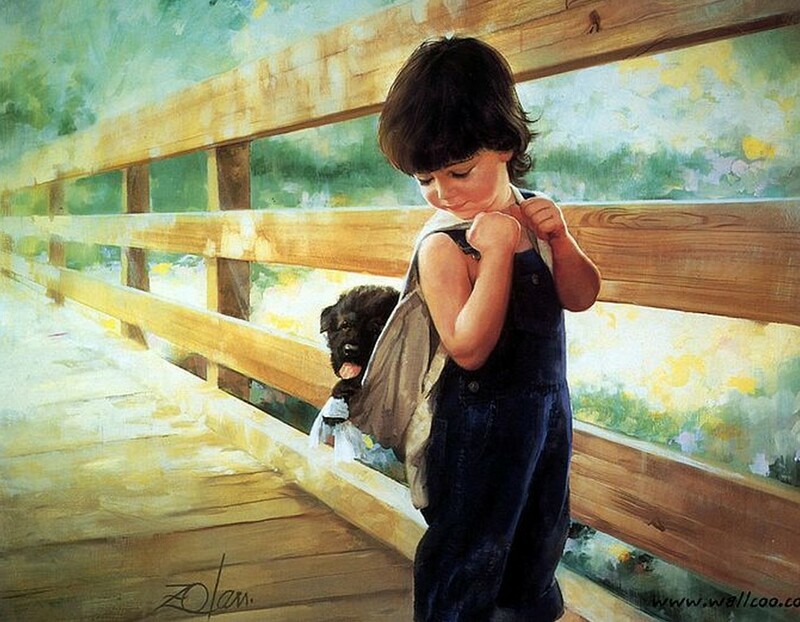 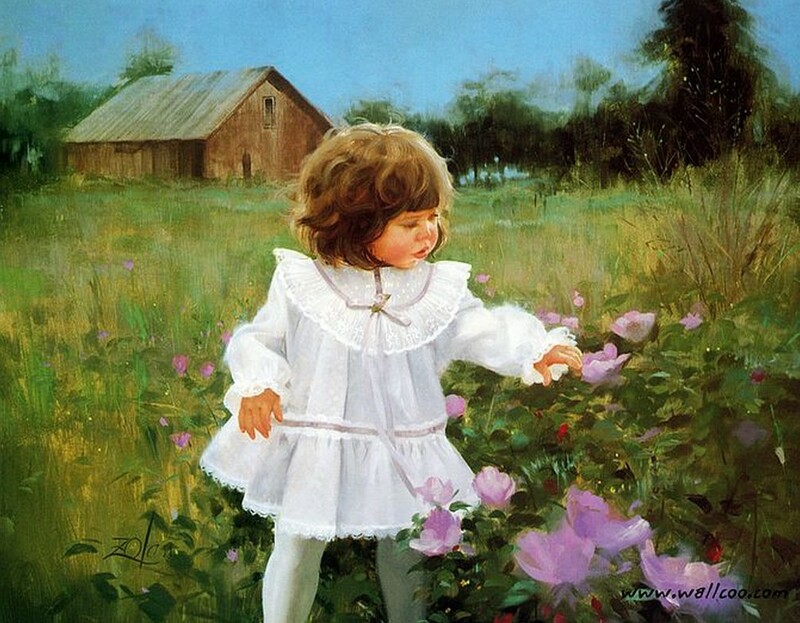 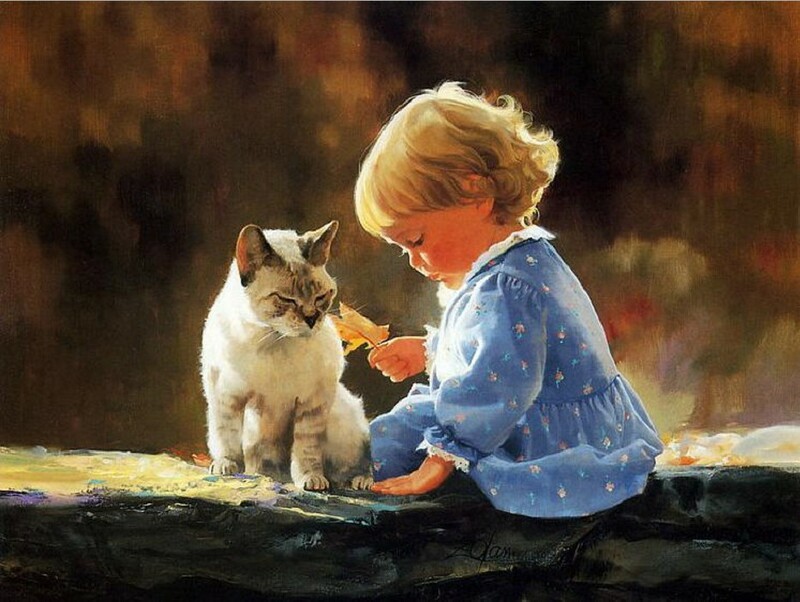 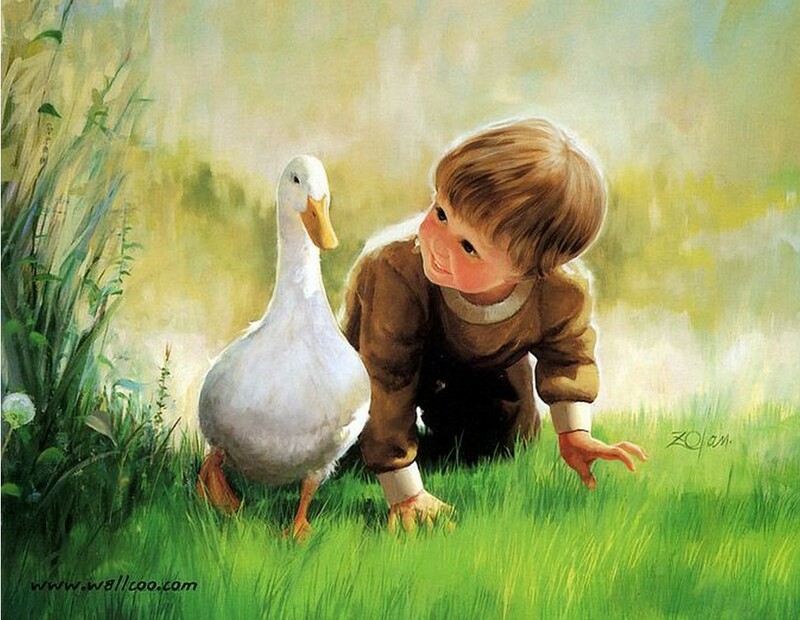 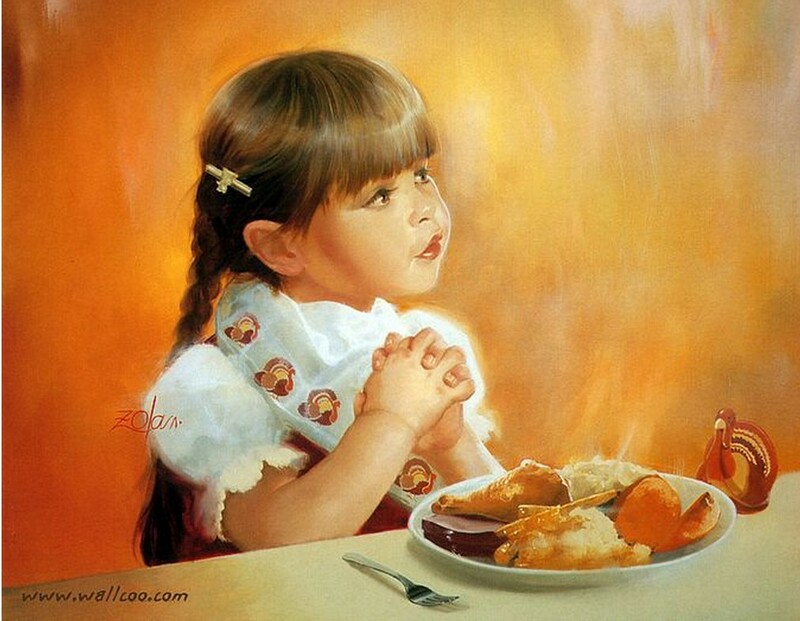 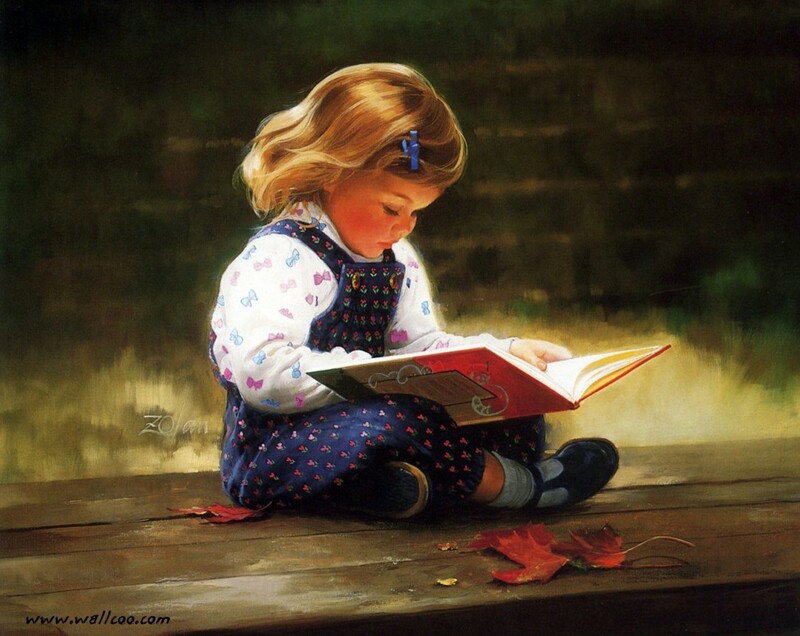 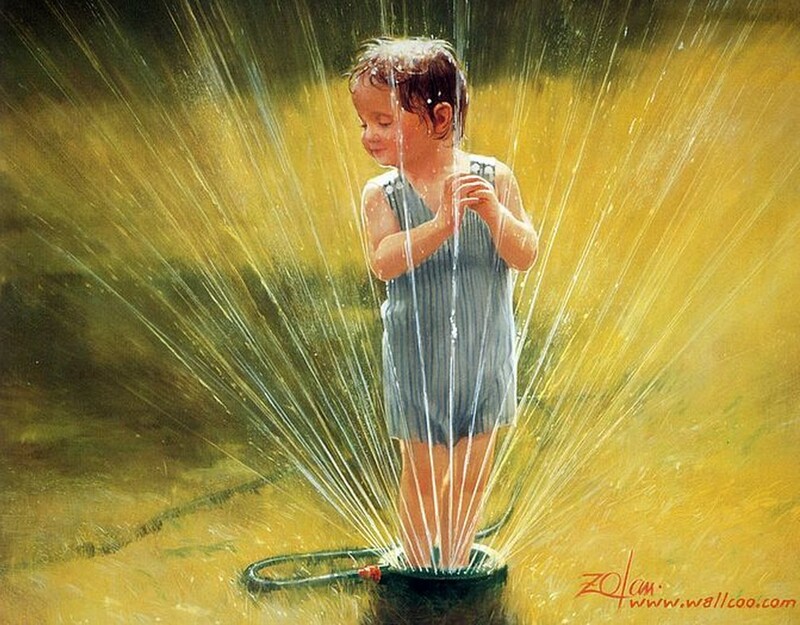 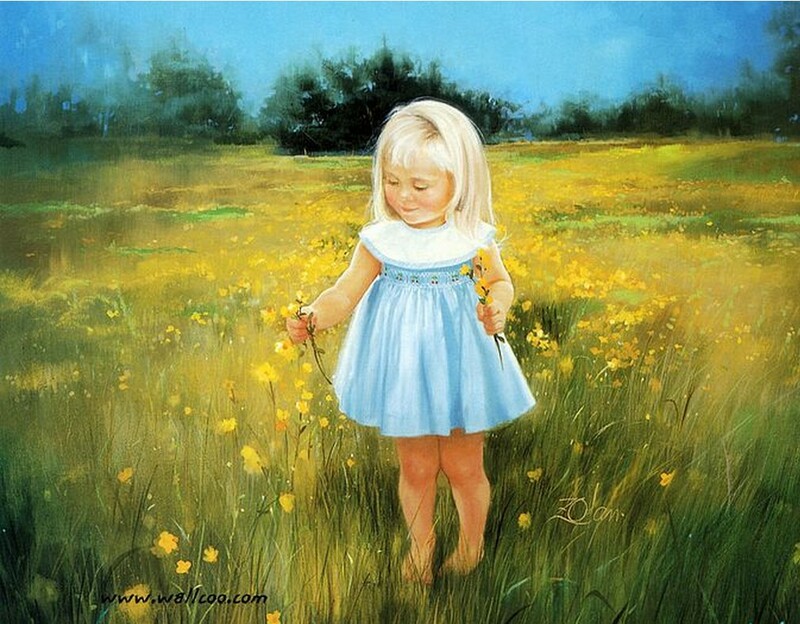 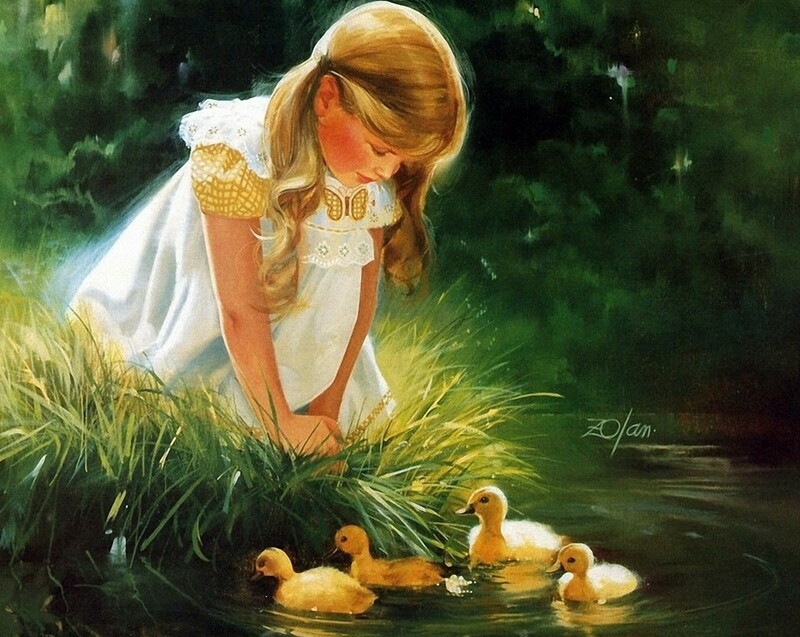 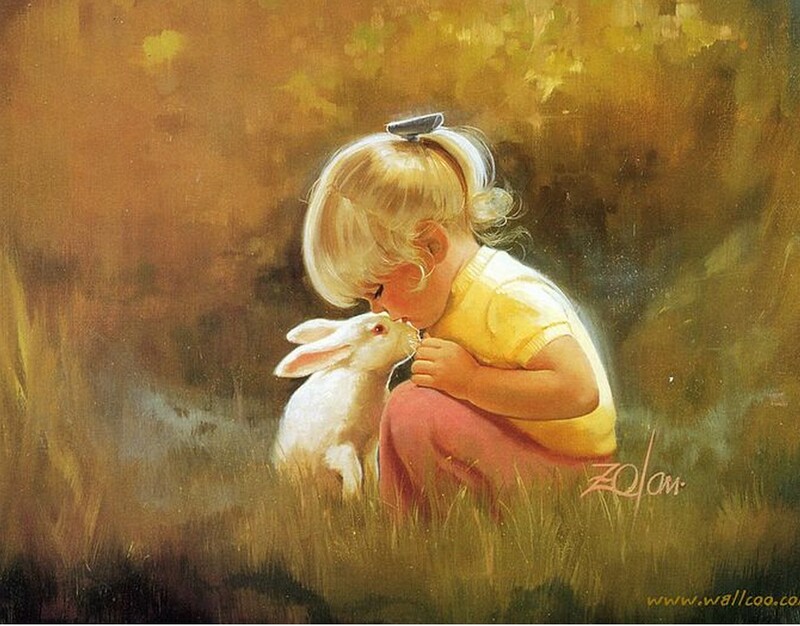 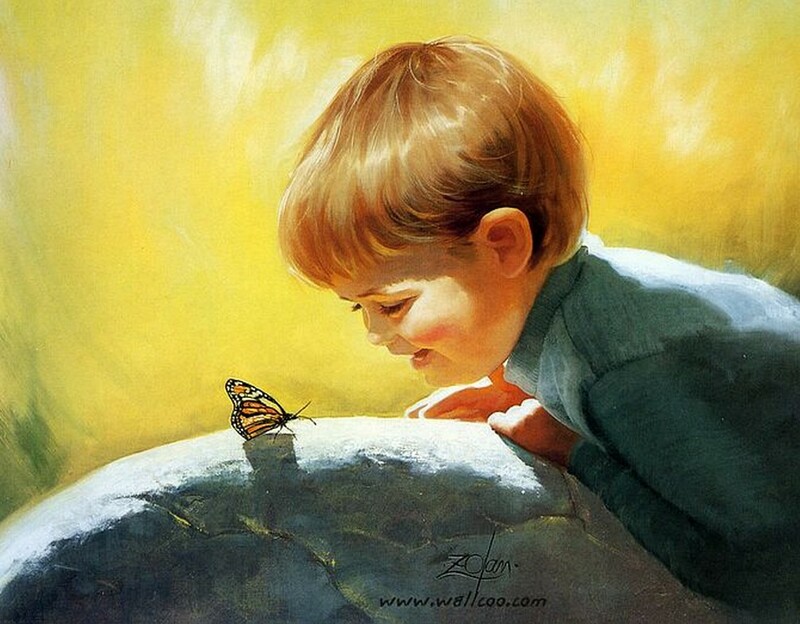 Donald Zolan’s vision for his art was that one day it could make a positive change in the lives of children. 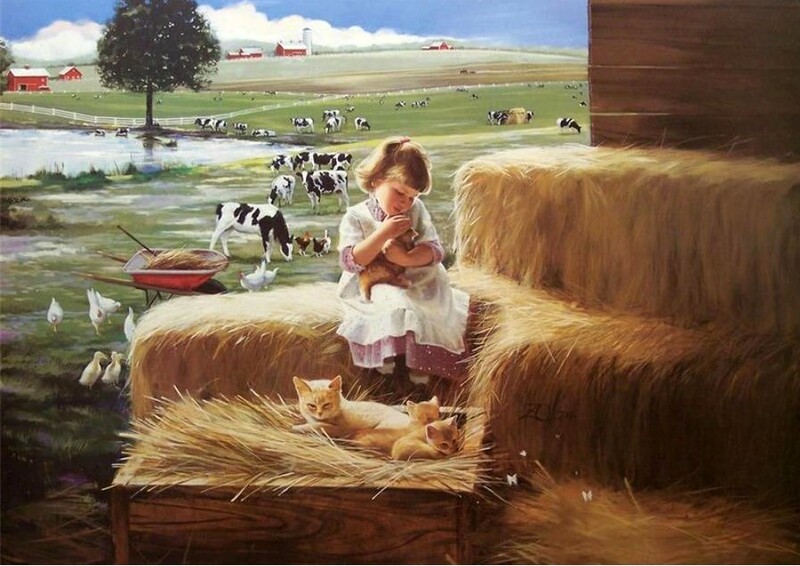 This art is a reflection of the life we can all strive to create again for our children. 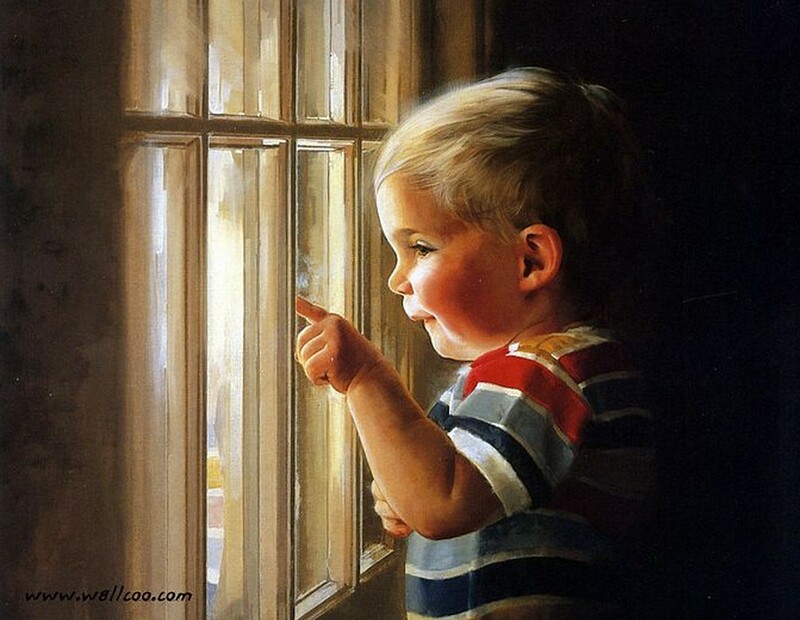 It is a dream that can one day be a possible reality for so many. 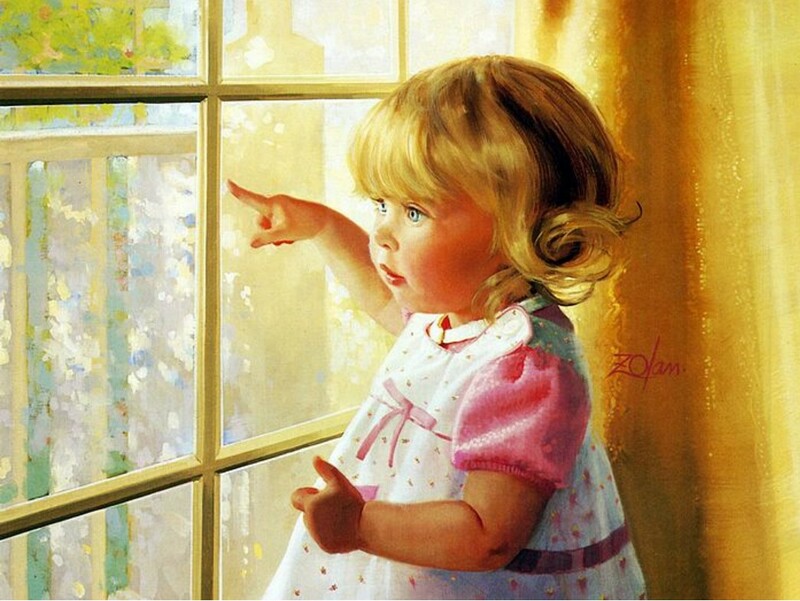 Let’s give hope to a dream.